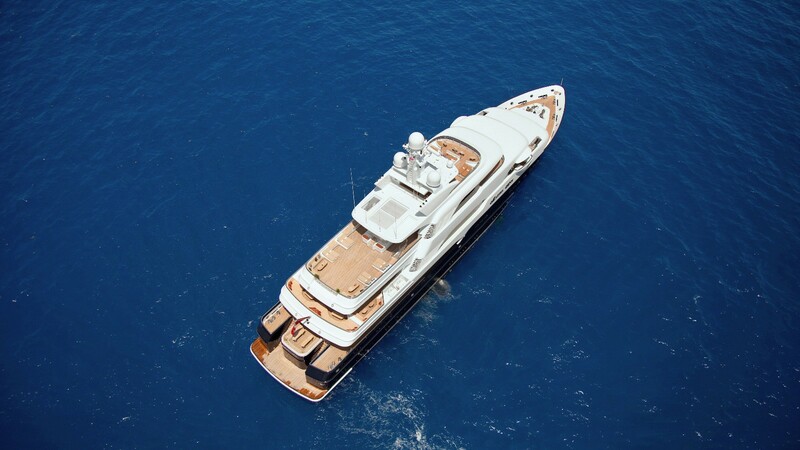 Yacht MARTHA ANN is a 70m/230ft luxury motor yacht built by Lürssen and designed by Espen Oeino, with Francois Zuretti interiors. 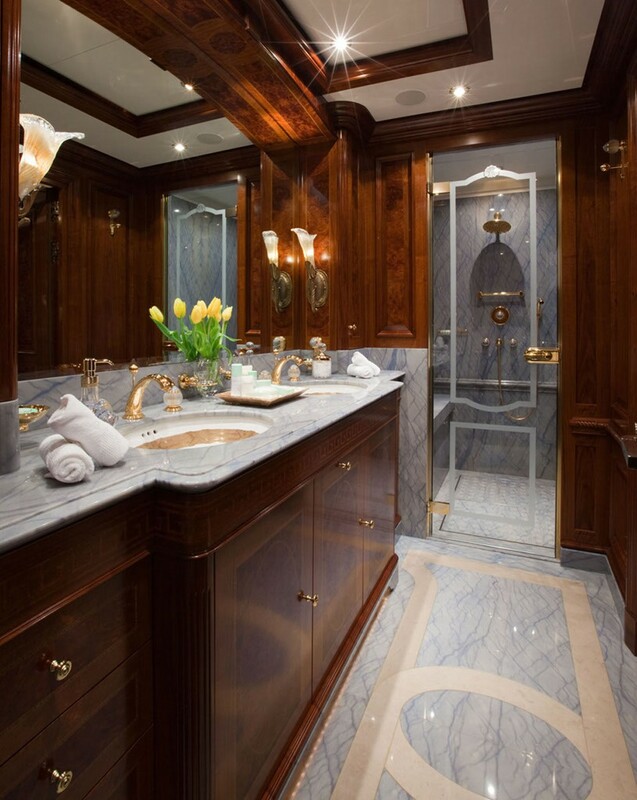 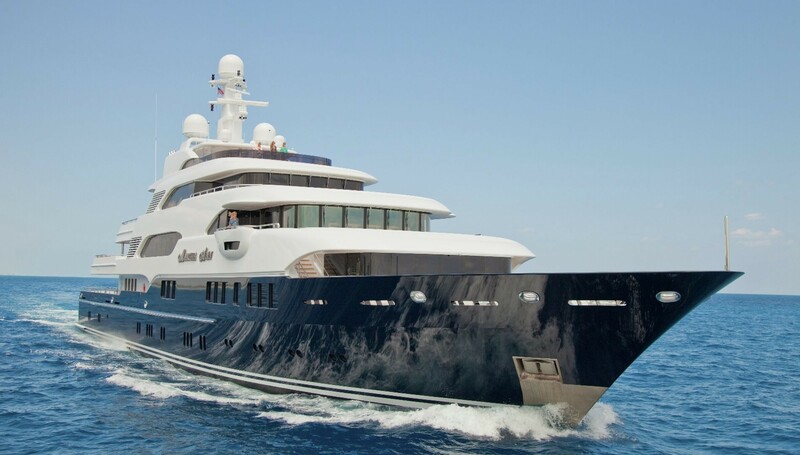 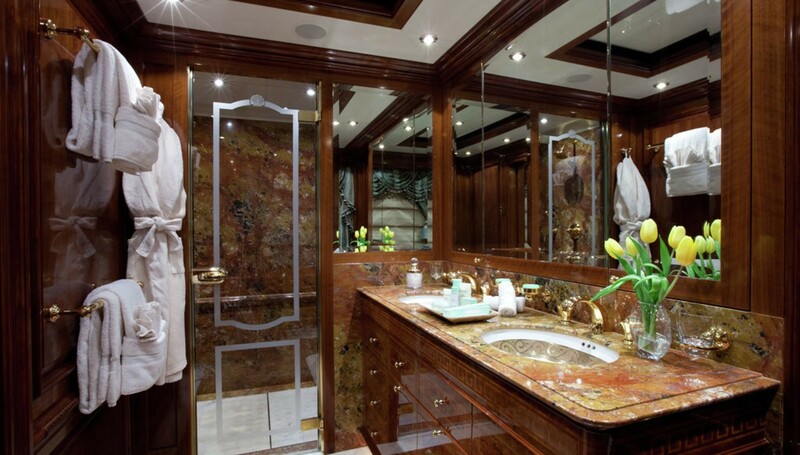 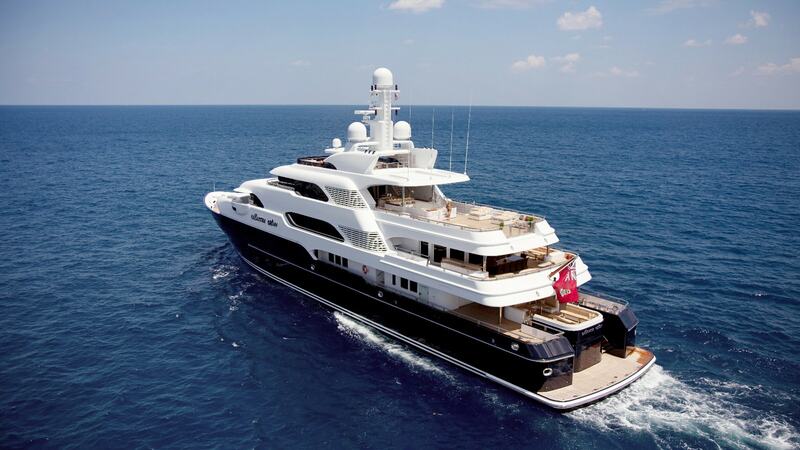 She is one of the finest Lurssen charter yacht built to date. 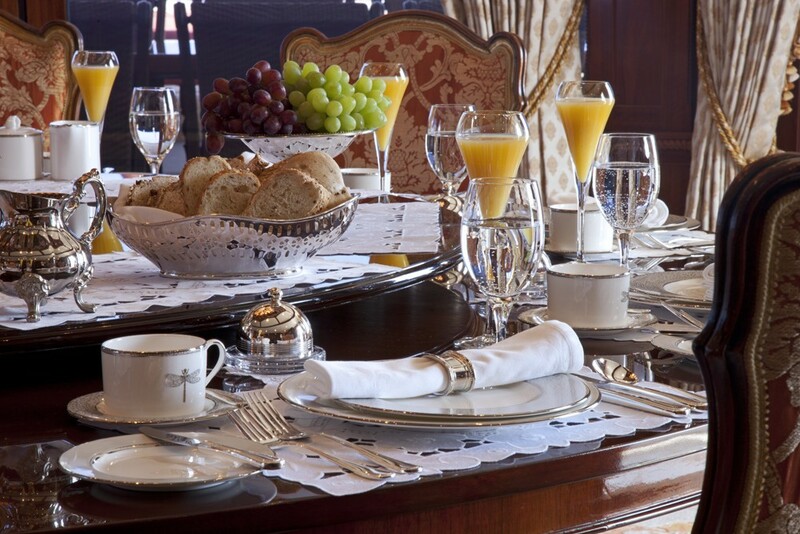 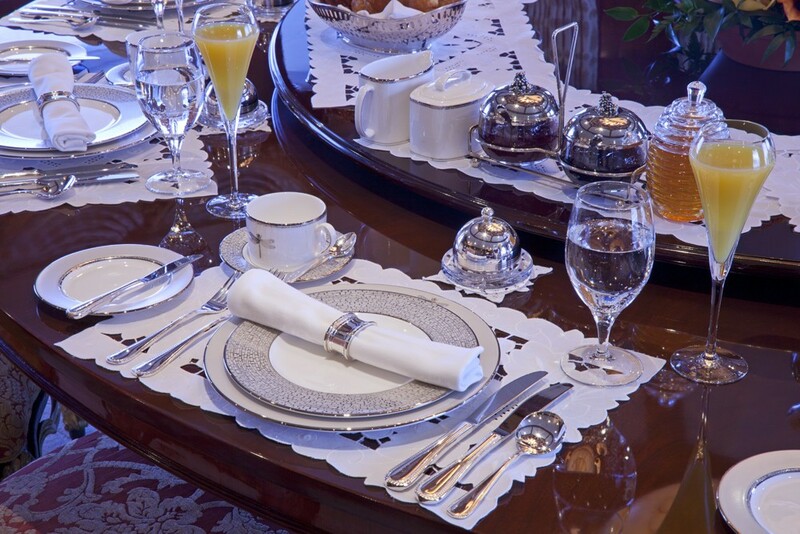 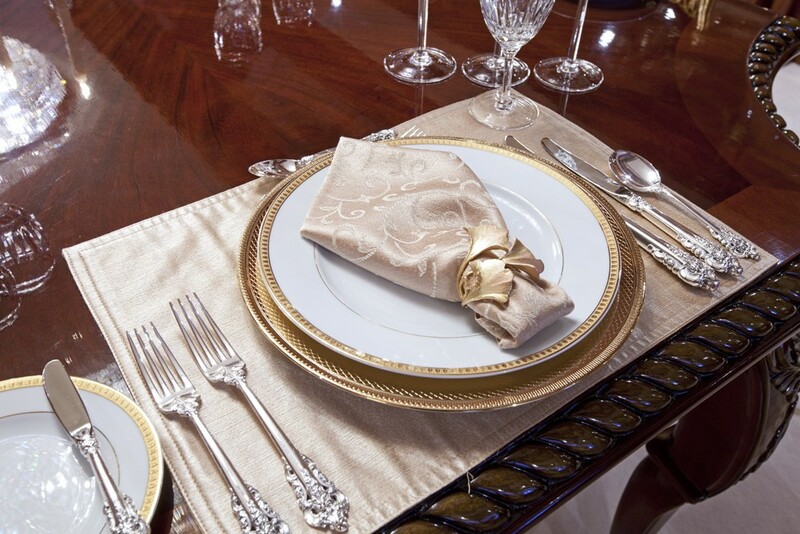 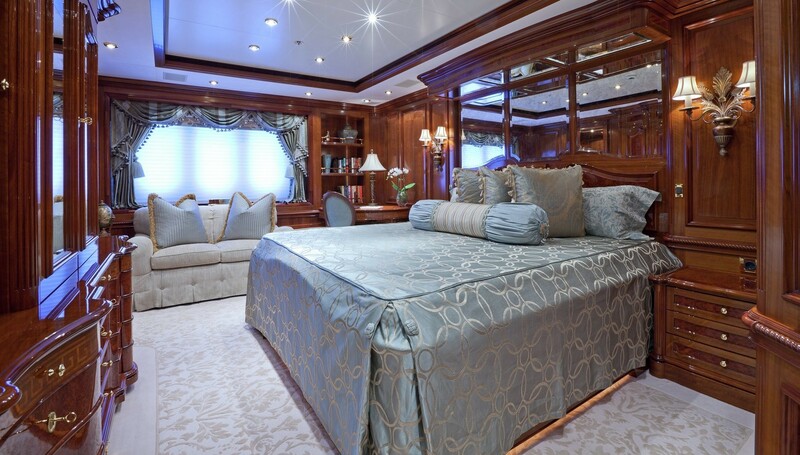 Luxury accommodation onboard is offered for up to 12 guests in 7 staterooms. 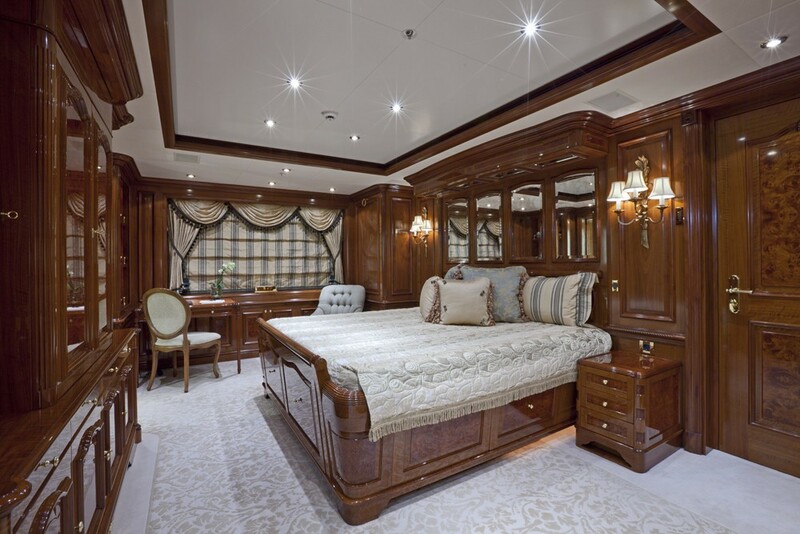 This massive luxury charter yacht features modern lines, and while her interior design is classically inspired, she has a contemporary feel. 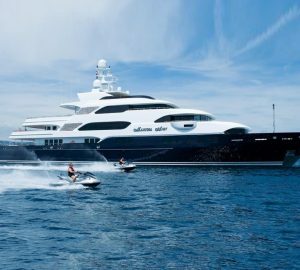 With just about every yacht feature you can imagine, her dark blue hull and size mean she is one of the world’s most impressive yachts. 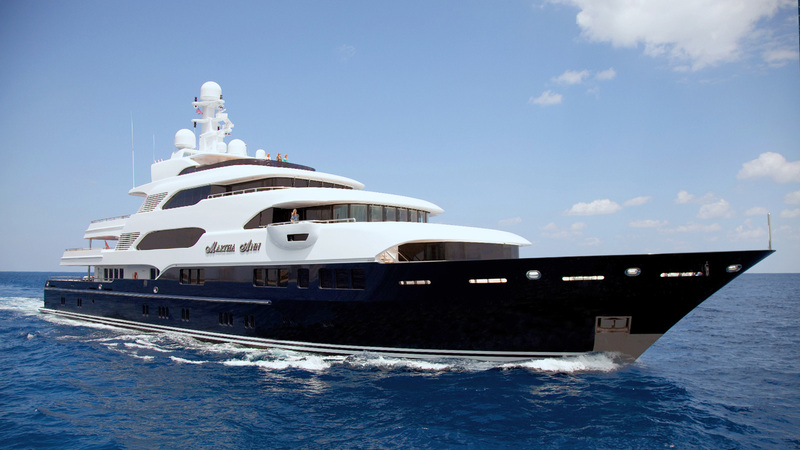 Developed under the project name 'Shark,' superyacht MARTHA ANN is the Lurssen built sister-ship of motor yachts Apoise (2006) and Saint Nicolas (2007). 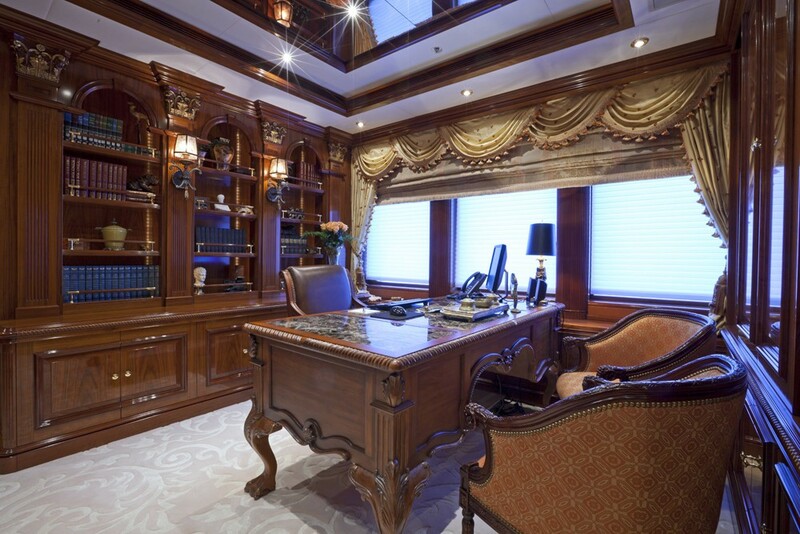 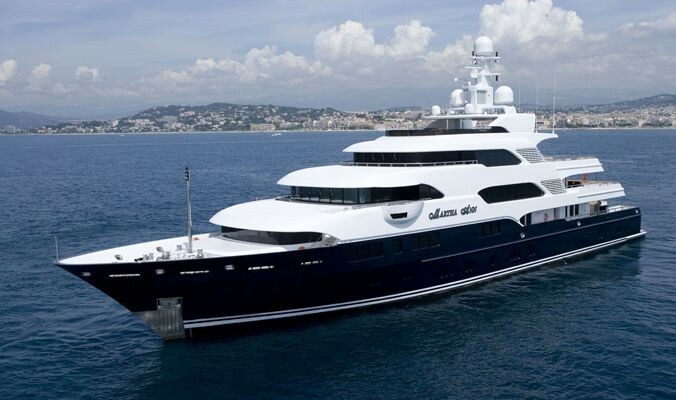 Lurssen, the German Superyacht builder, is also famous for building Larry Ellison and Paul Allen’s boats. 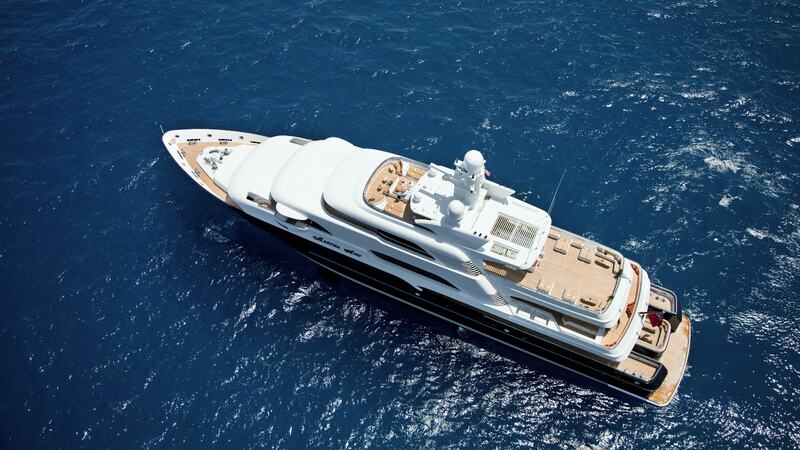 With a massive beam of 12.8m, she boasts extraordinary volumes, even for a yacht of this considerable length. 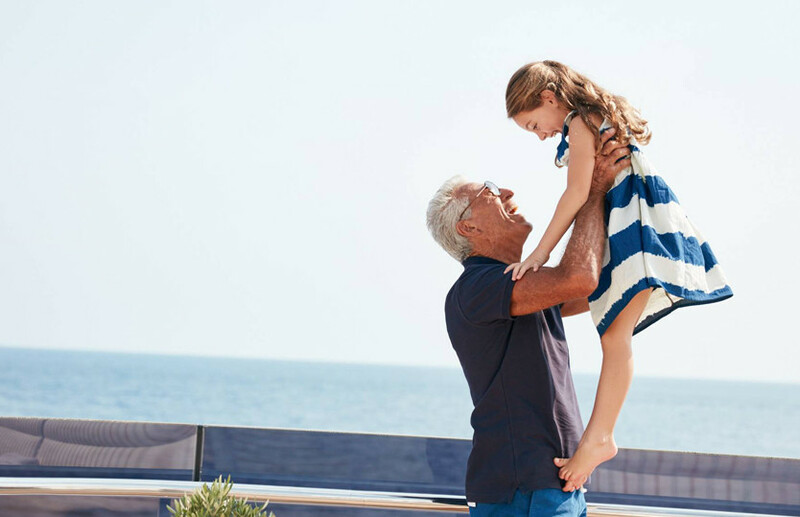 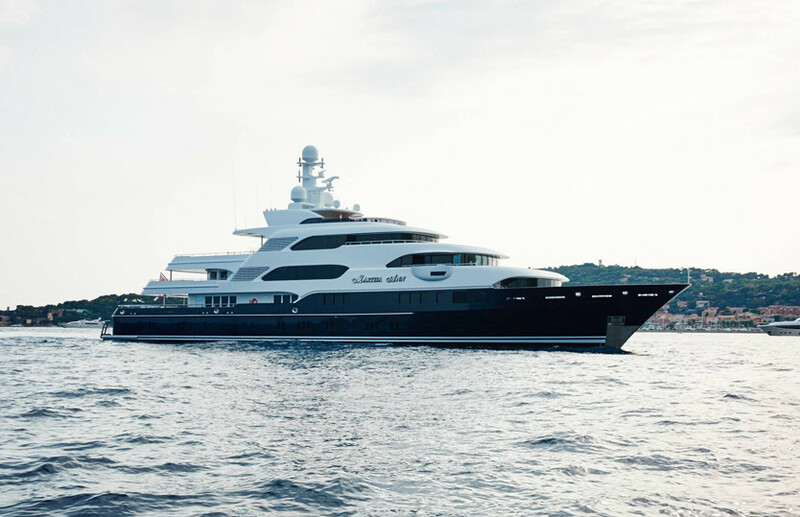 MARTHA ANN is the ideal entertainer’s superyacht with her six impressive decks and numerous spacious separate areas for guests, both inside and out. 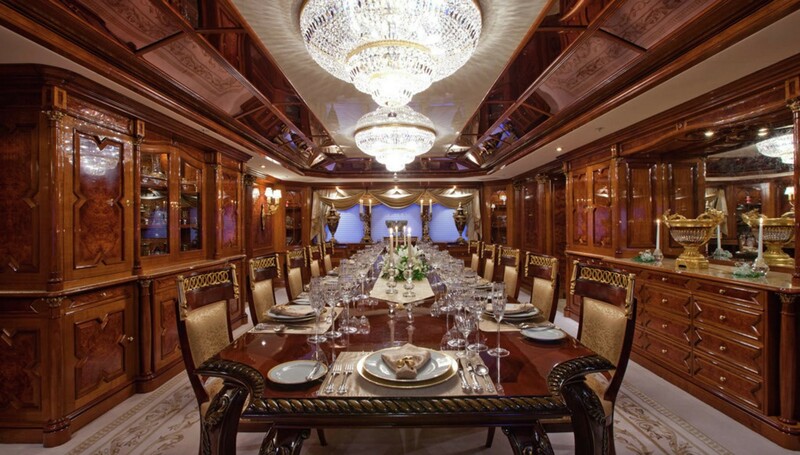 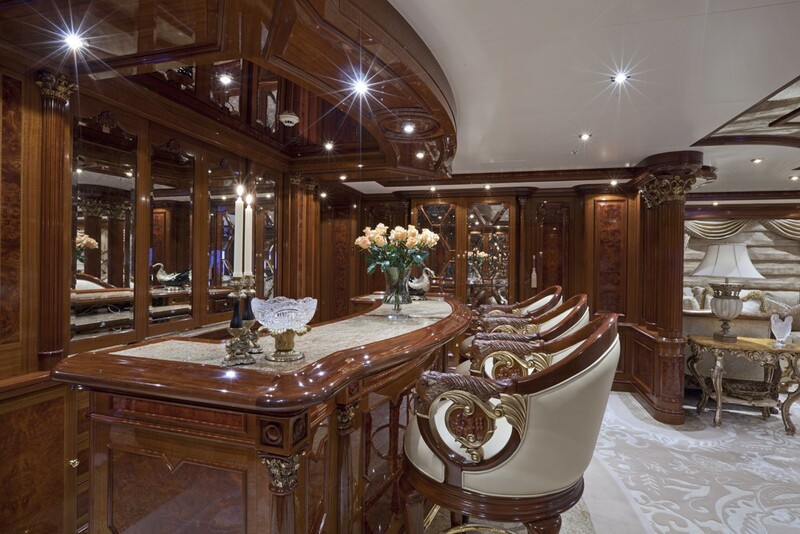 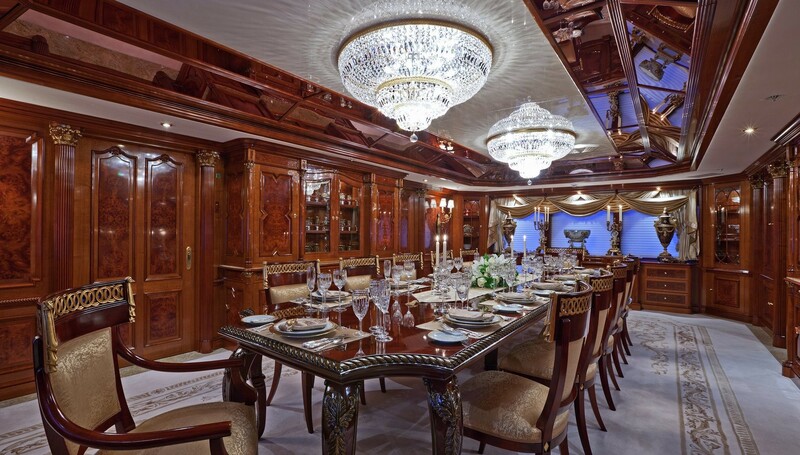 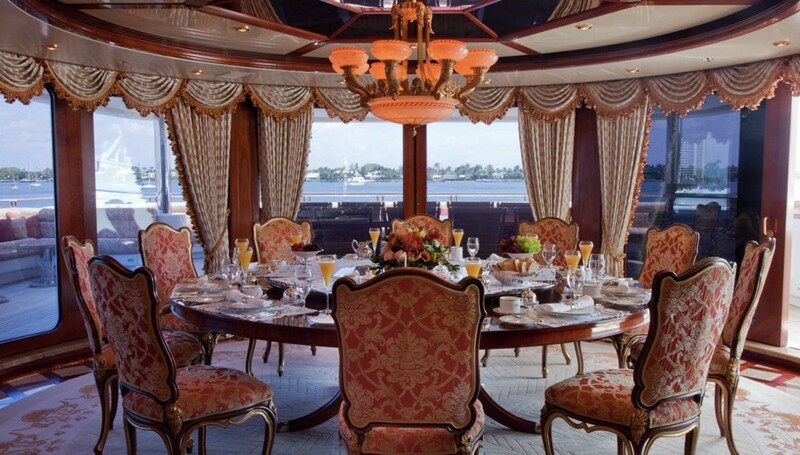 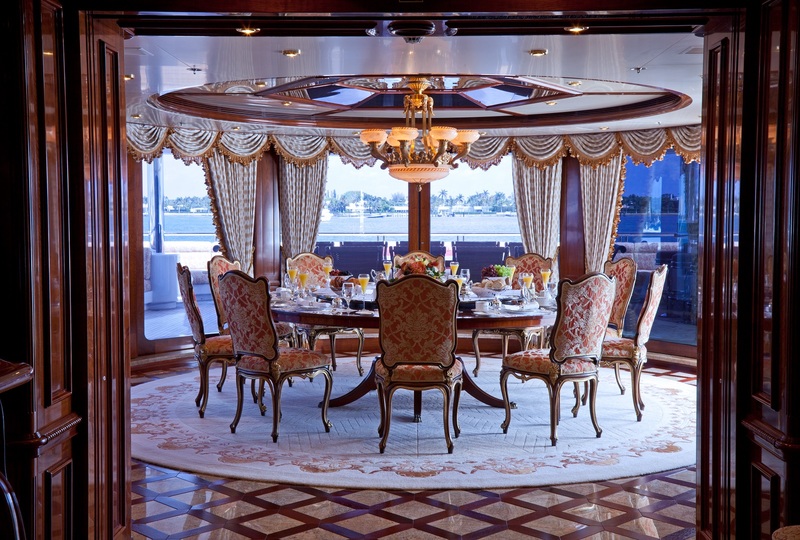 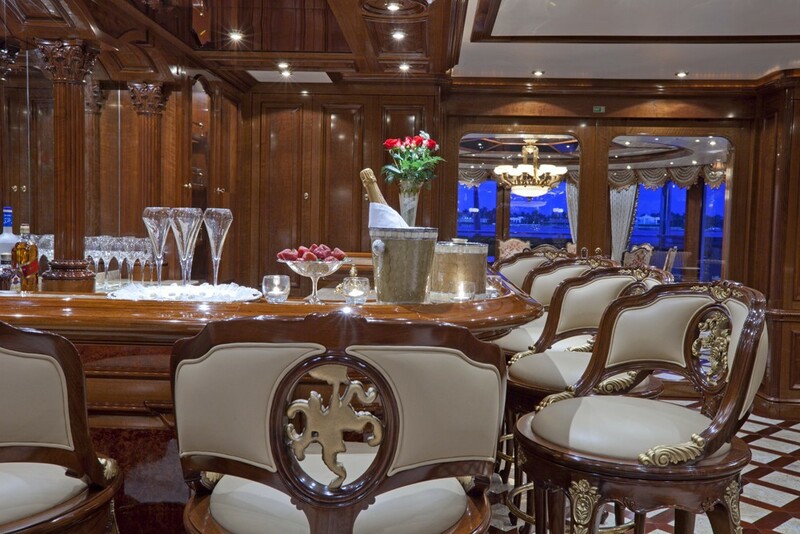 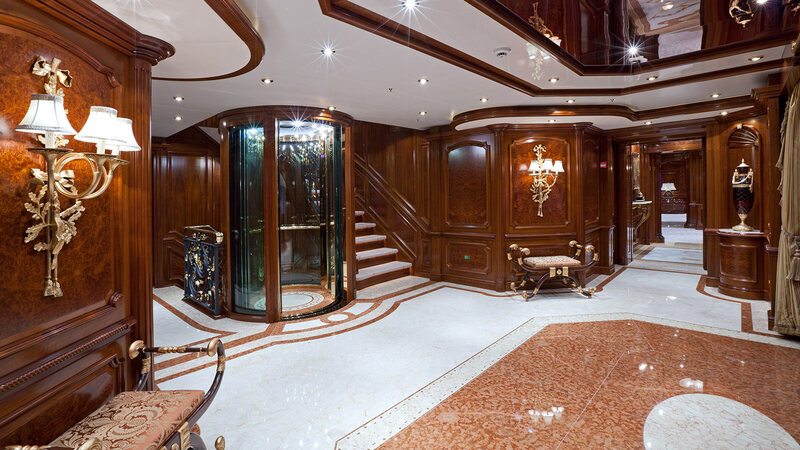 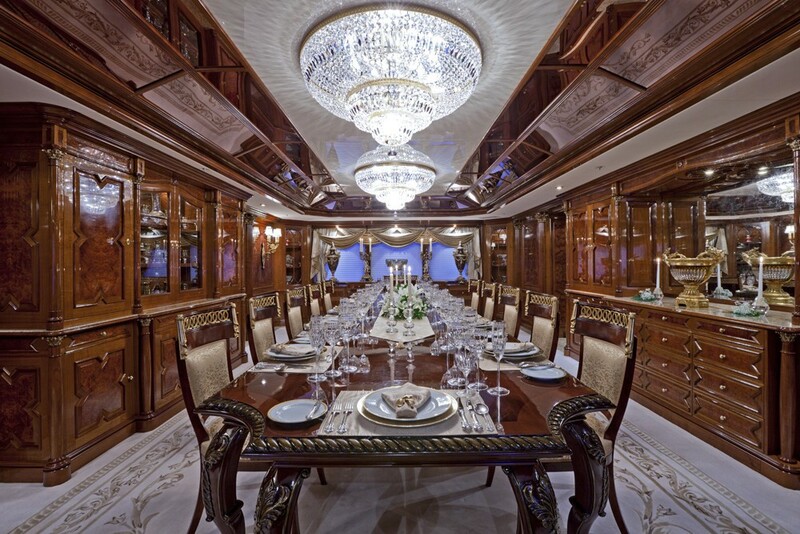 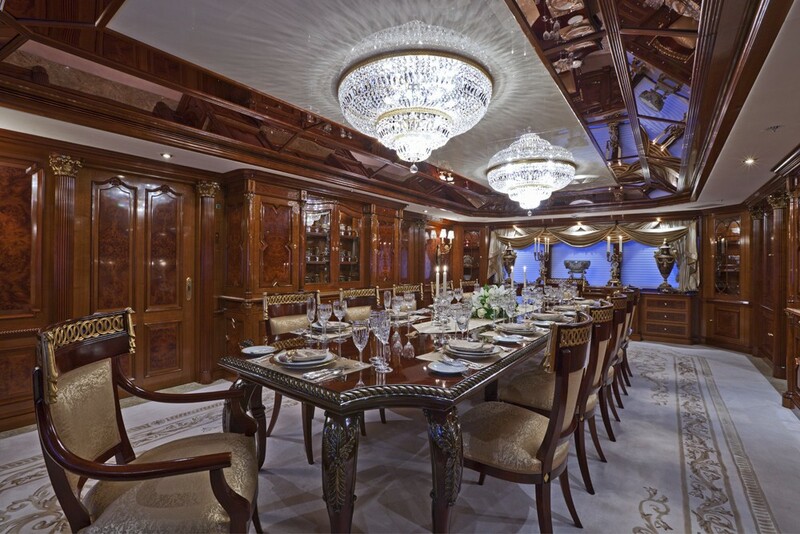 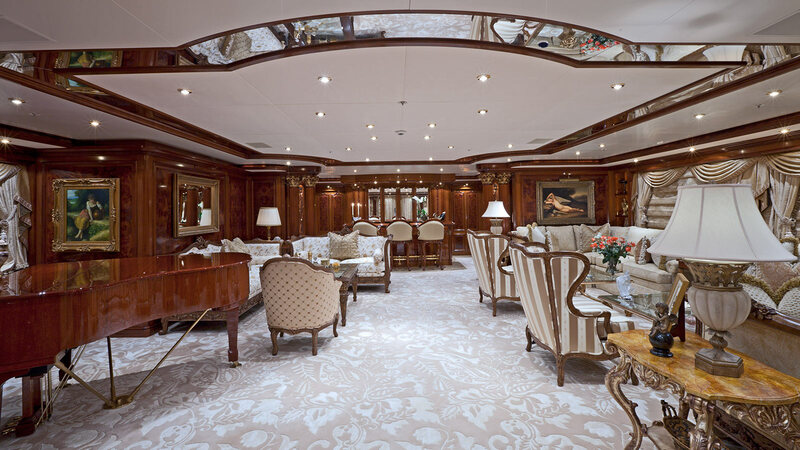 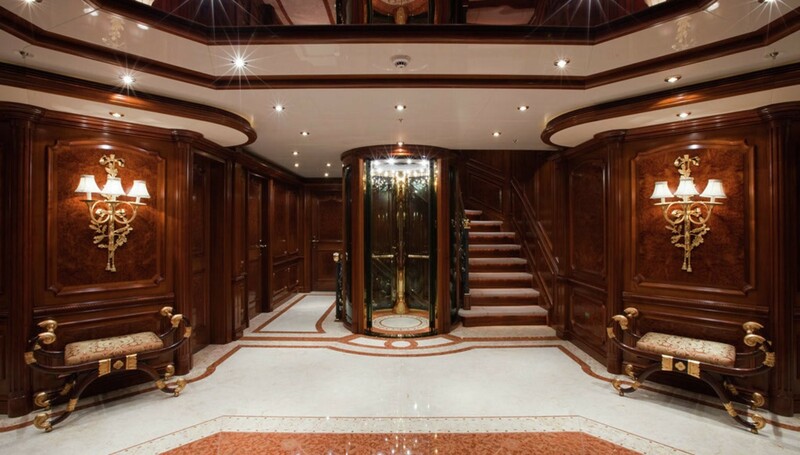 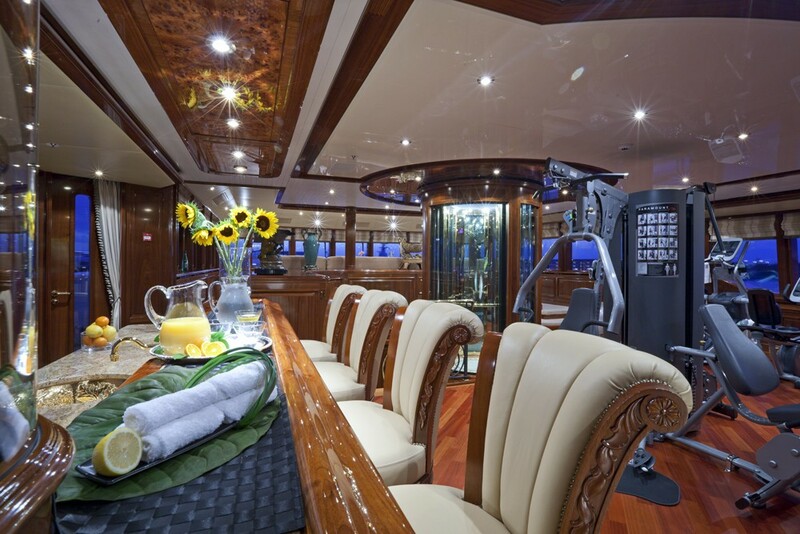 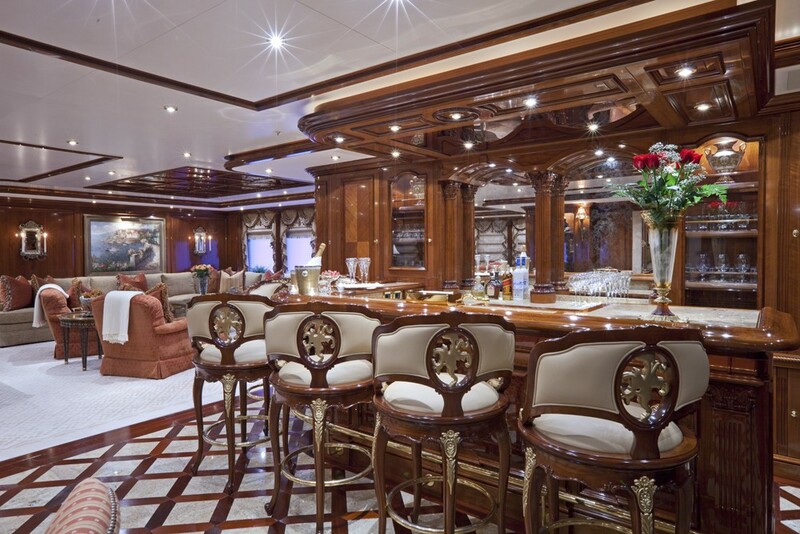 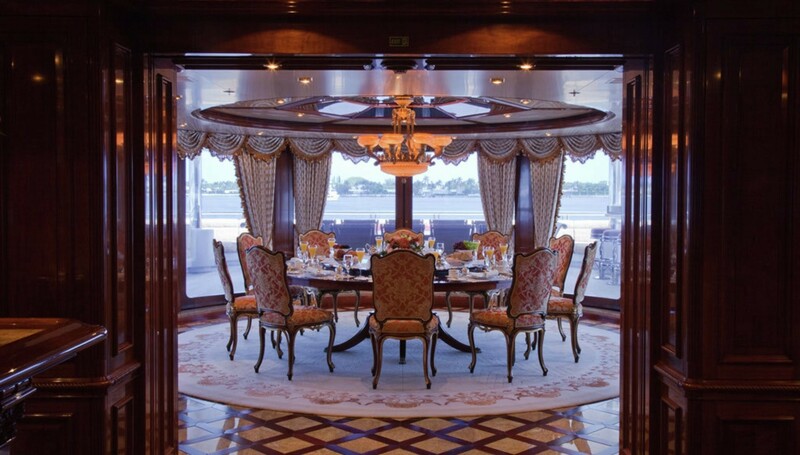 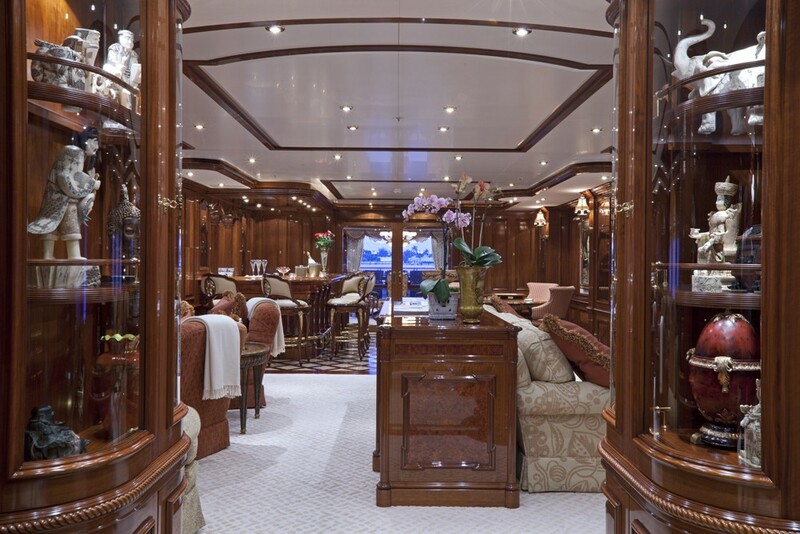 MARTHA ANN’s main saloon and dining areas are situated on the luxury yacht’s main deck, along with an impressive glass circular stairway. 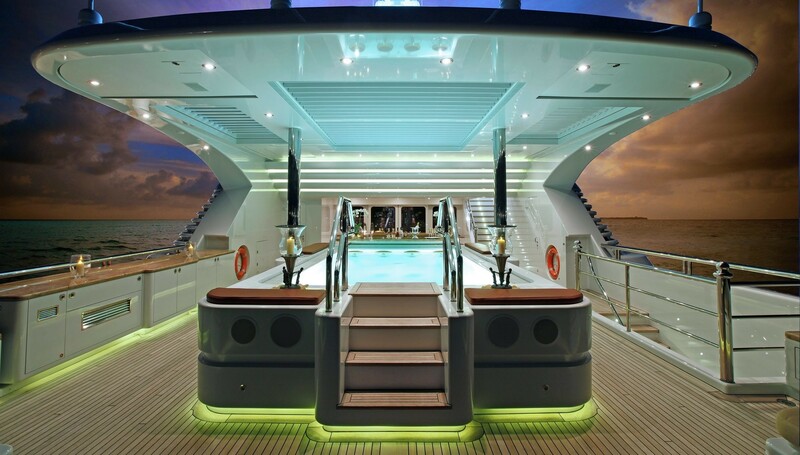 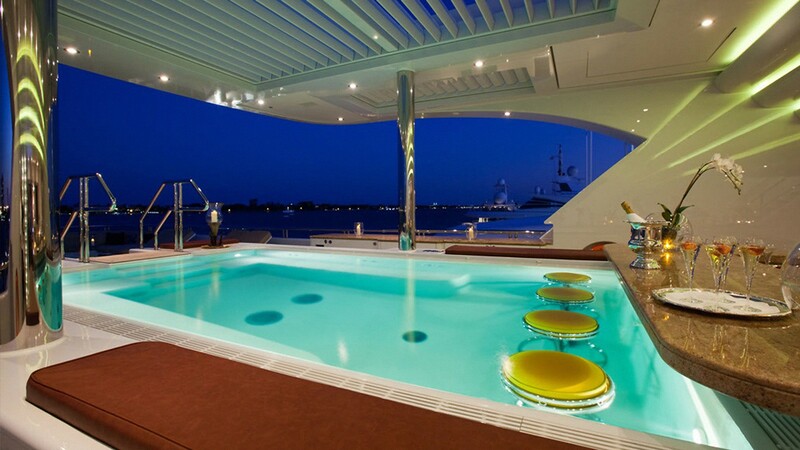 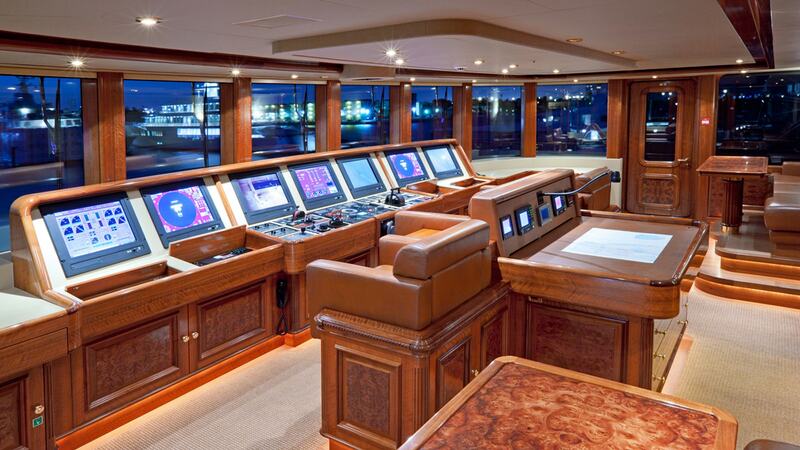 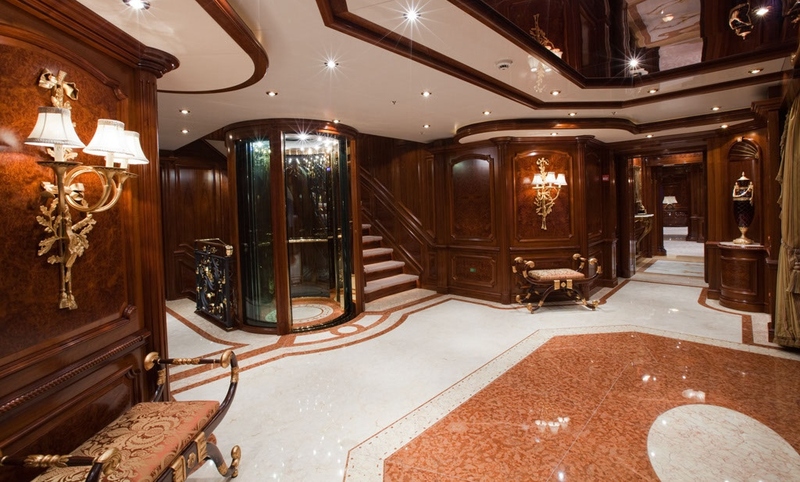 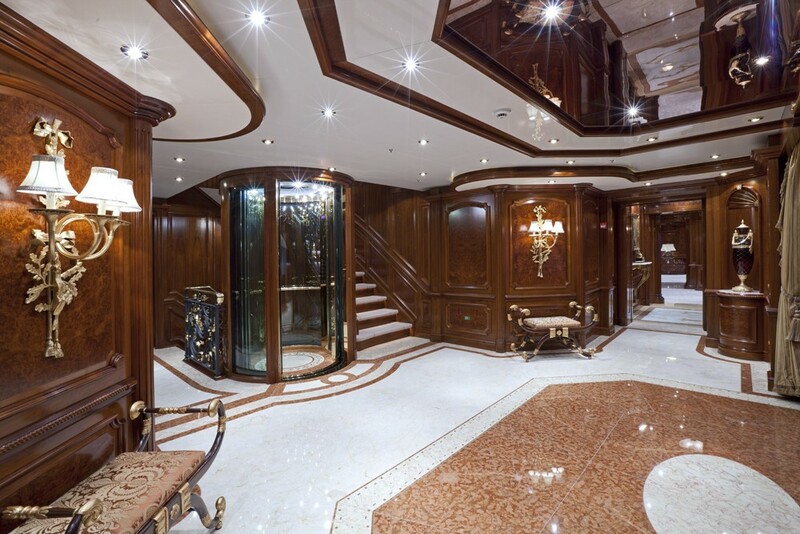 This deck also hosts the yacht’s main lobby. 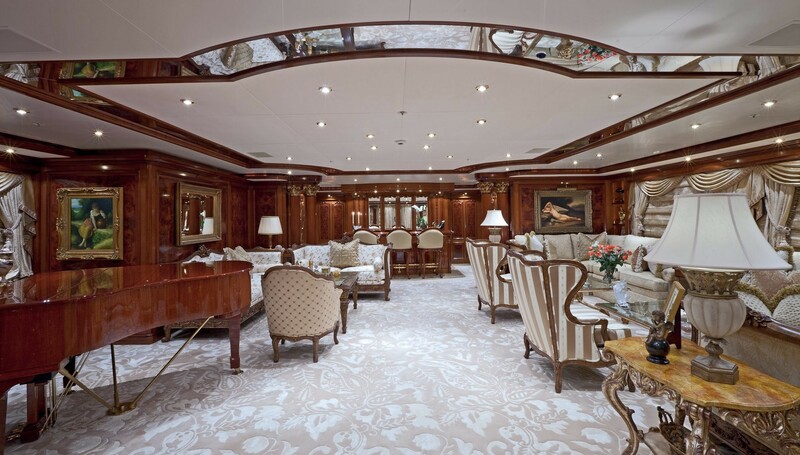 The bridge deck hosts a VIP stateroom and further aft there is a full beam saloon and a cleverly designed inside-outside dining area. 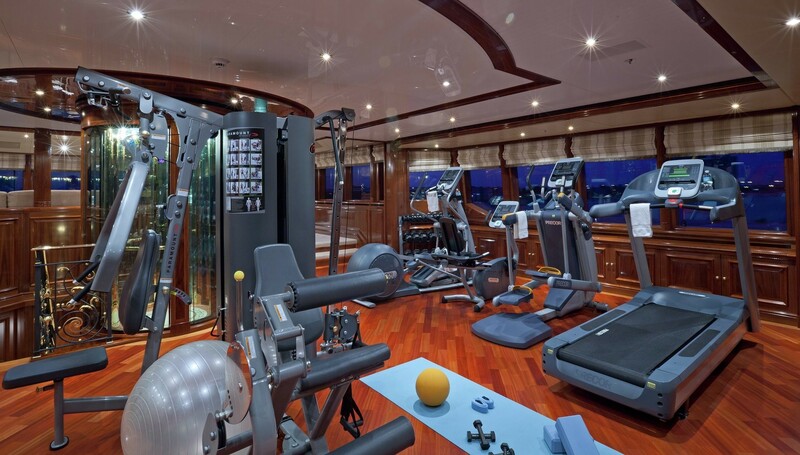 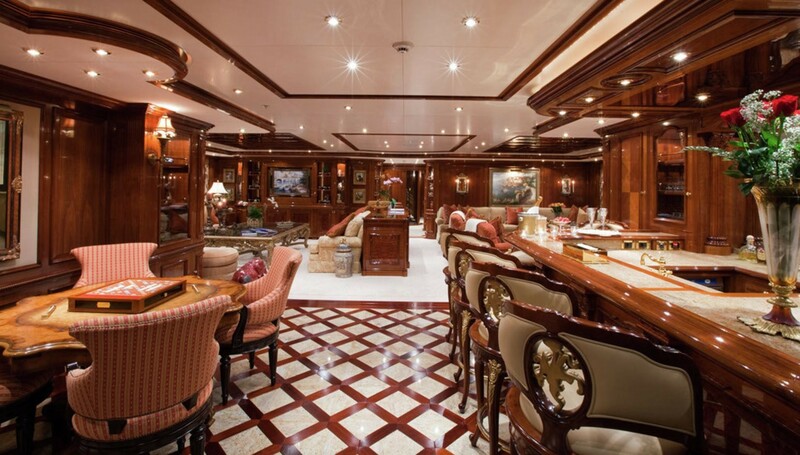 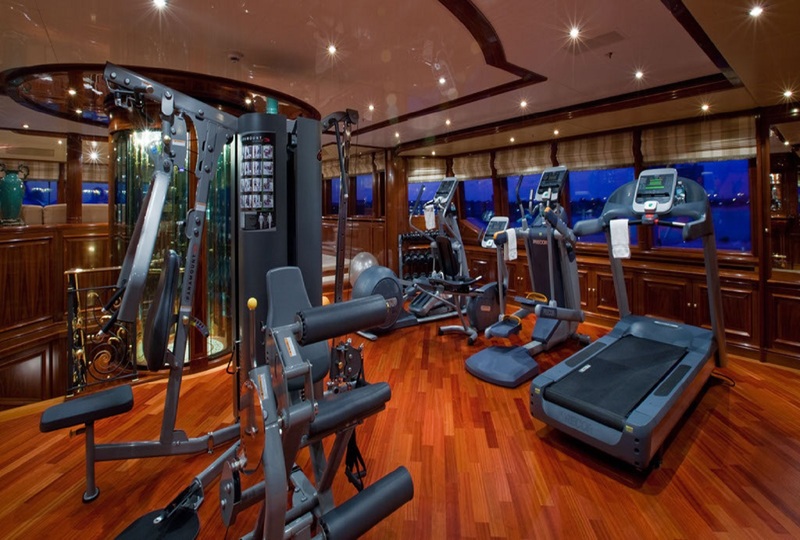 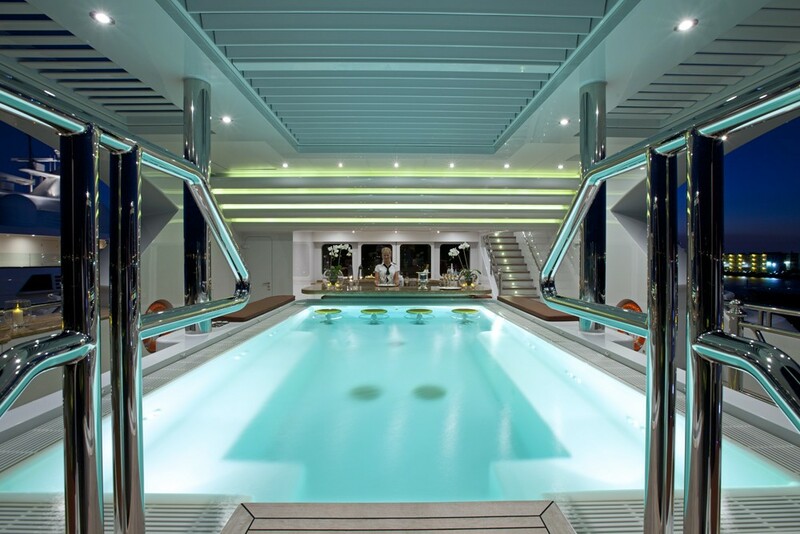 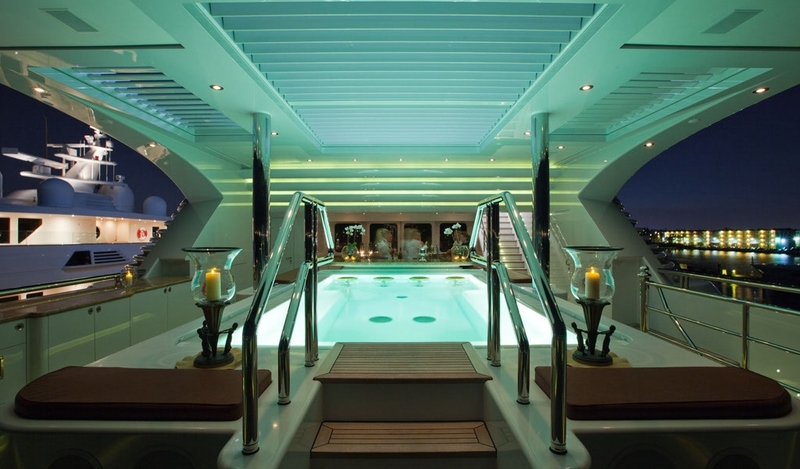 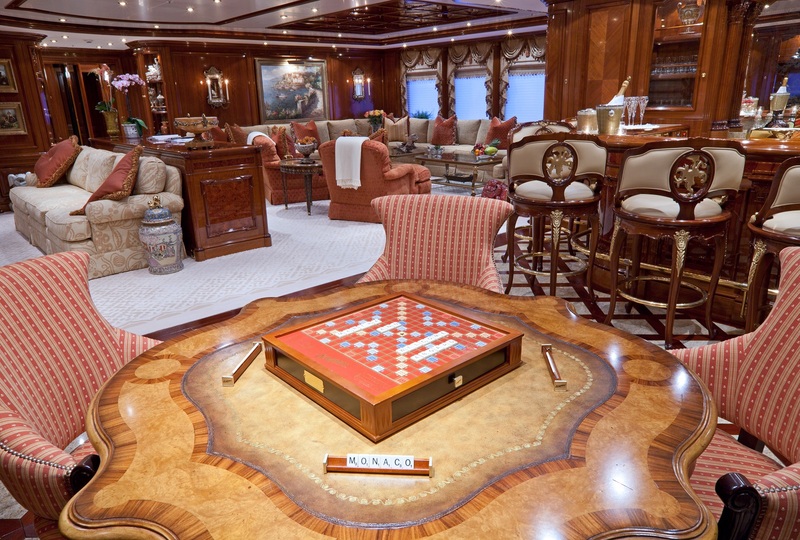 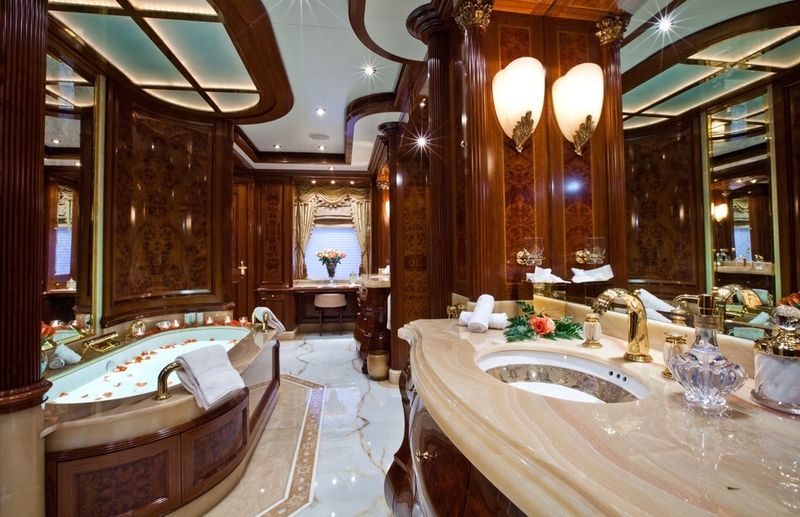 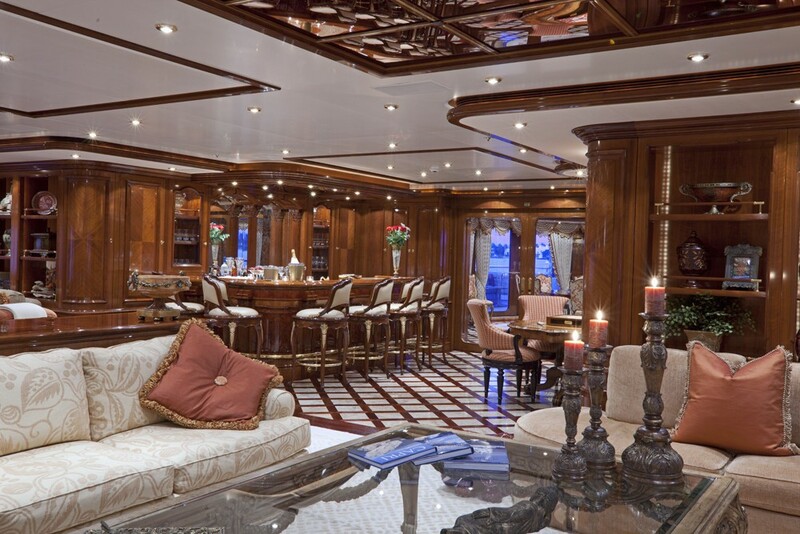 She boasts a huge sports bar and gym along with a very large Spa Pool which adorns the upper deck. 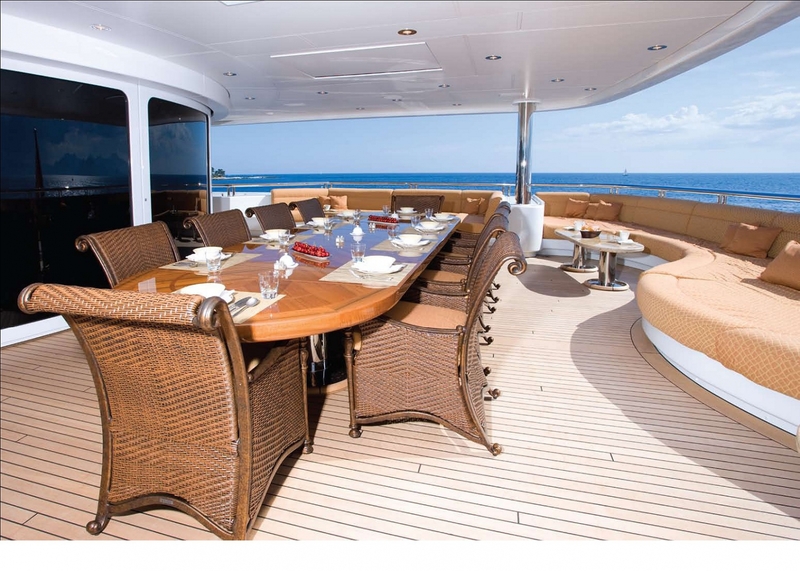 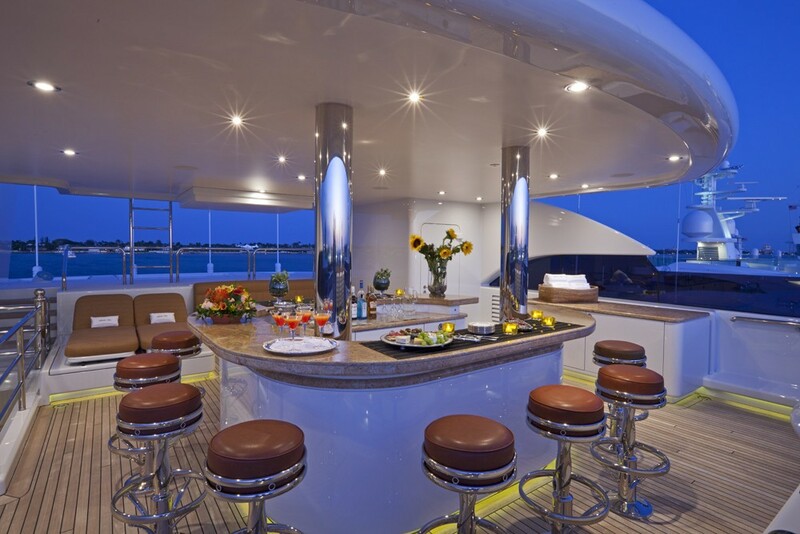 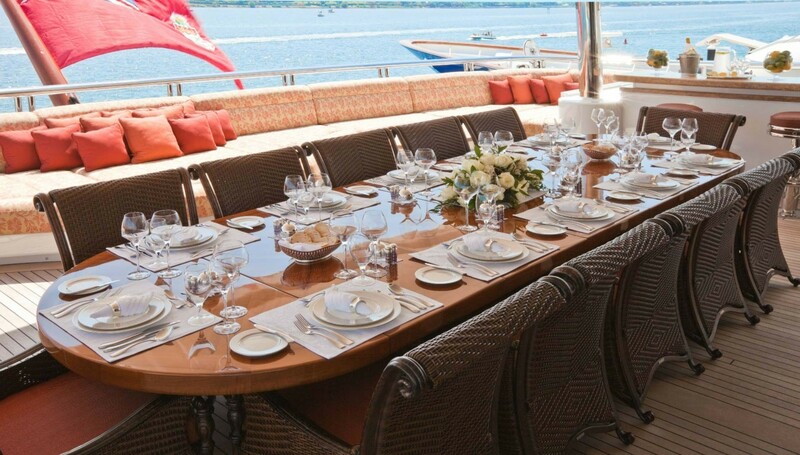 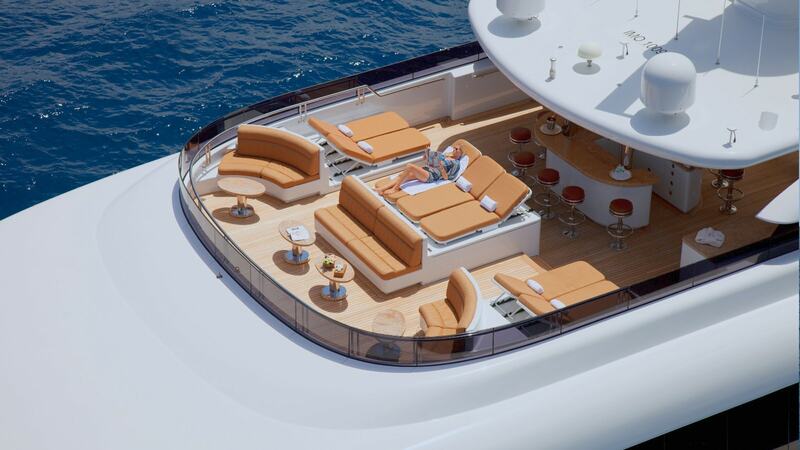 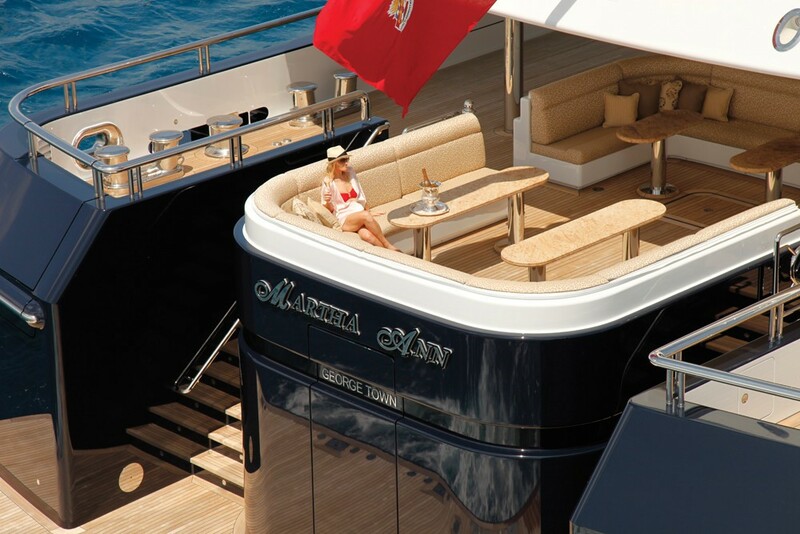 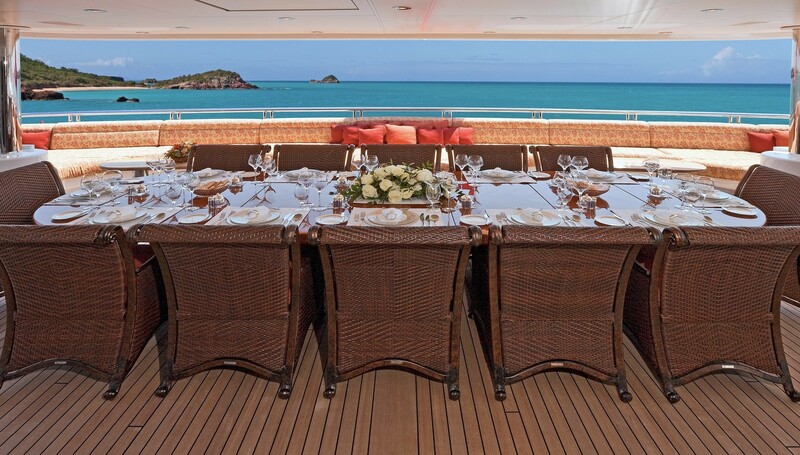 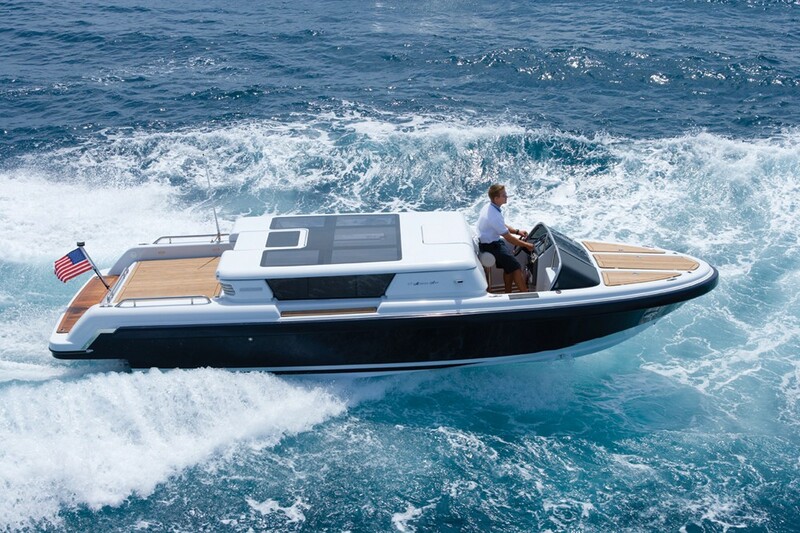 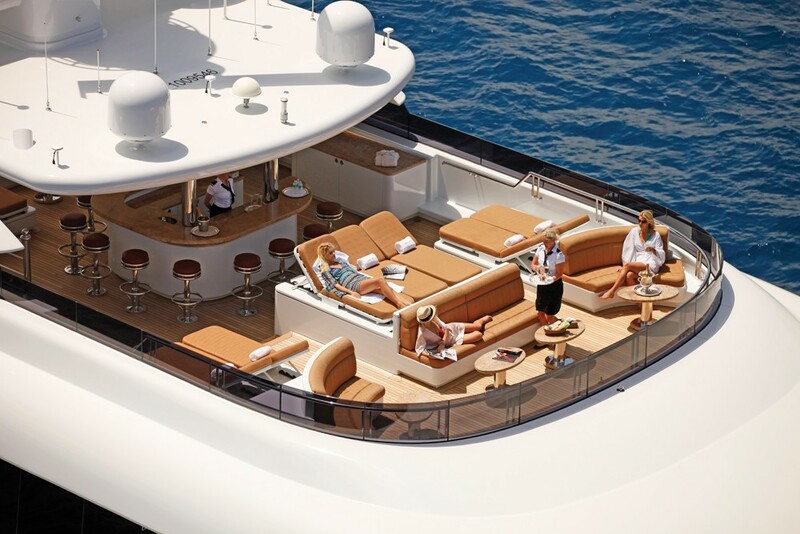 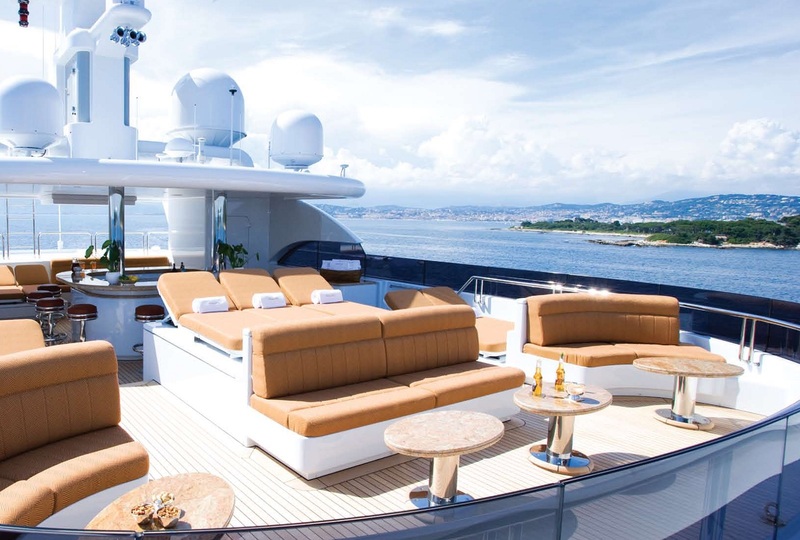 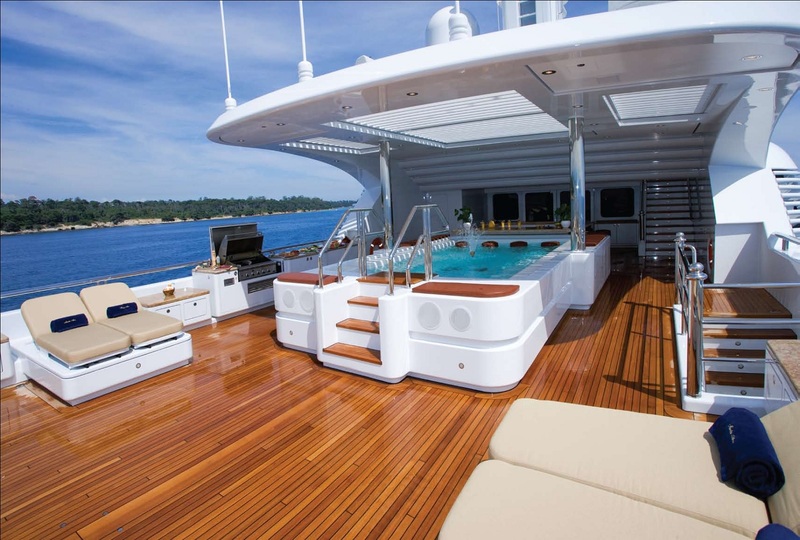 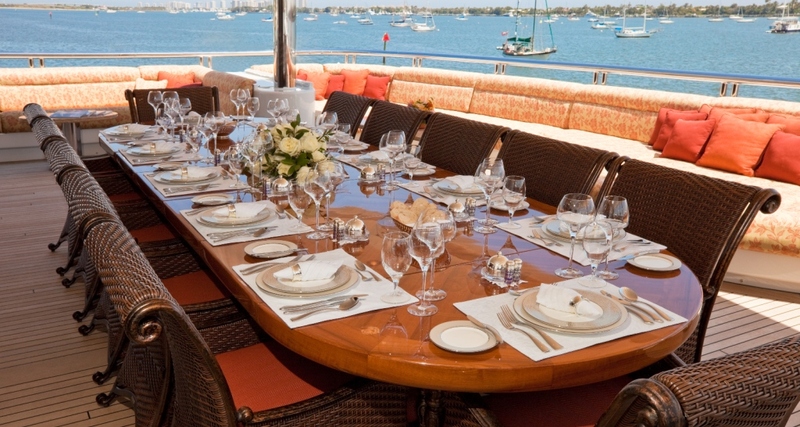 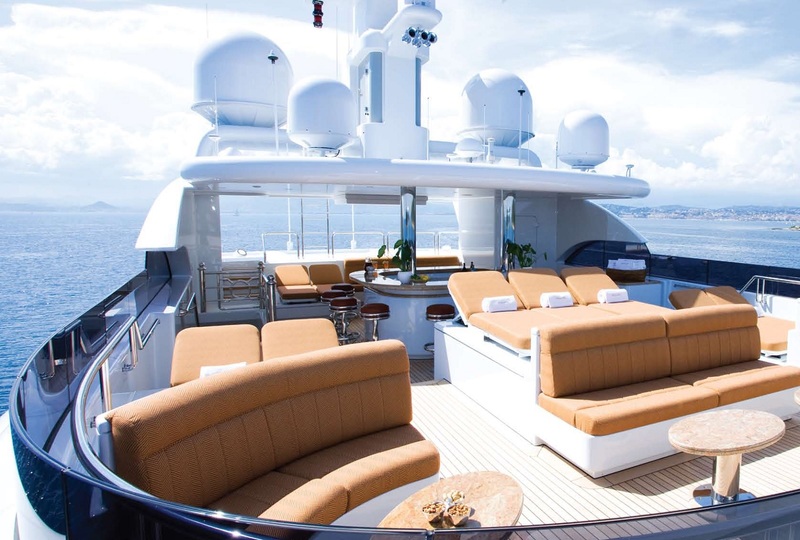 Here, as with the aft deck, there are vast areas for outdoor relaxing and sunning and seating. 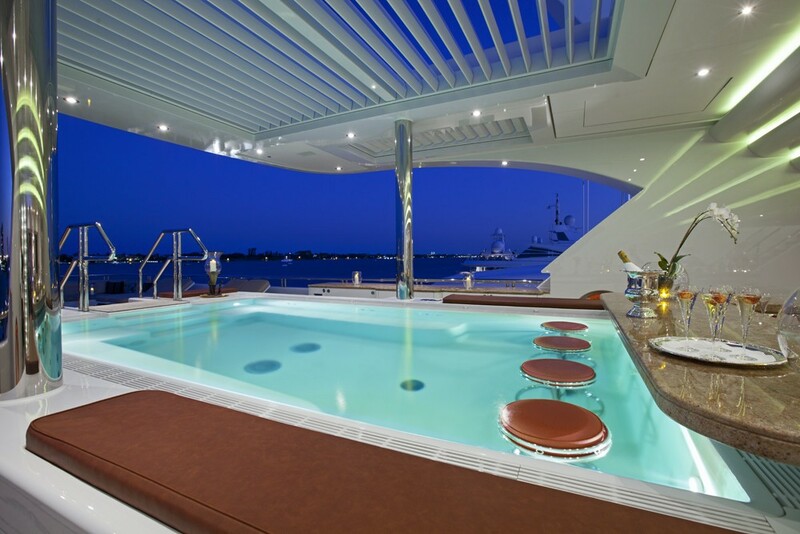 There is also a large pool with integrated bar. 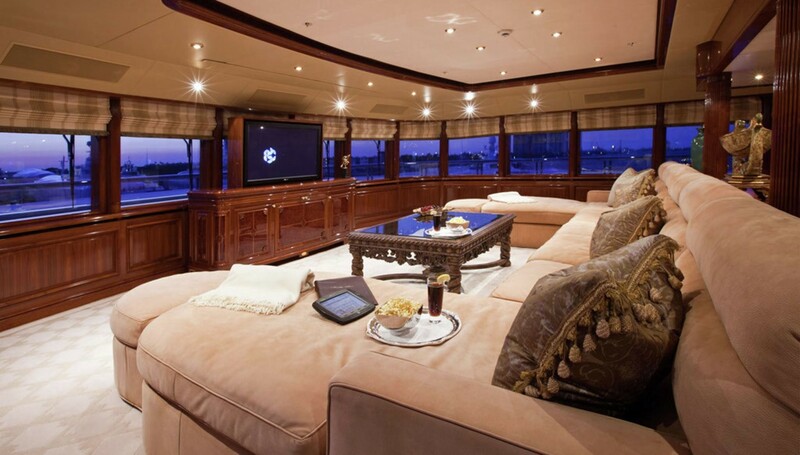 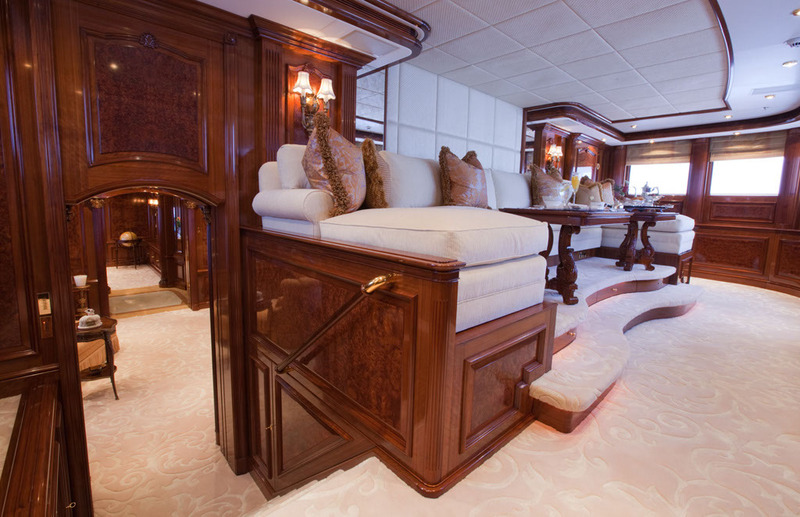 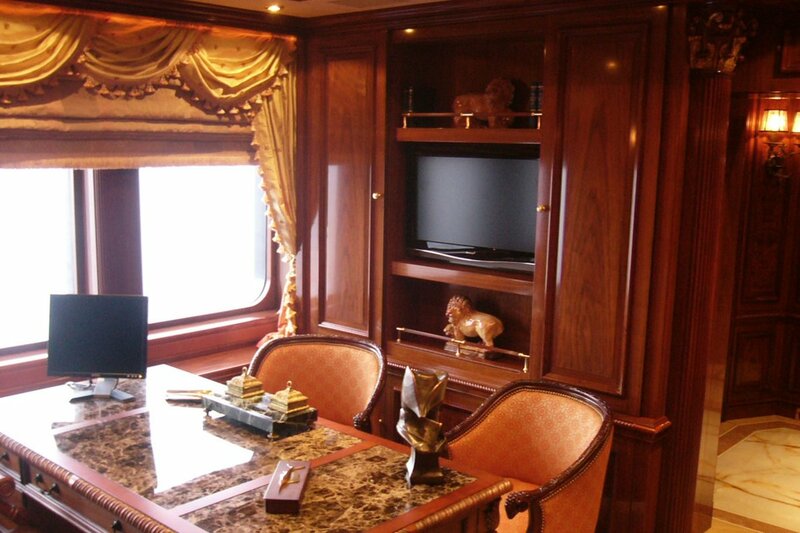 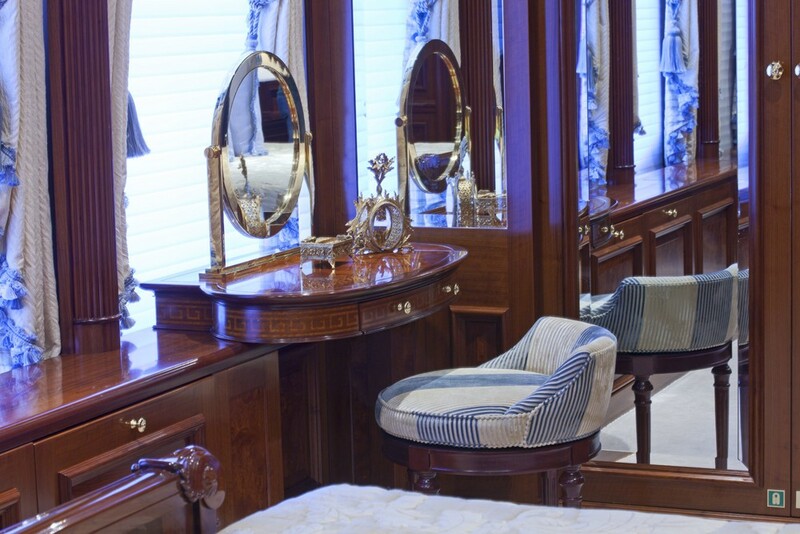 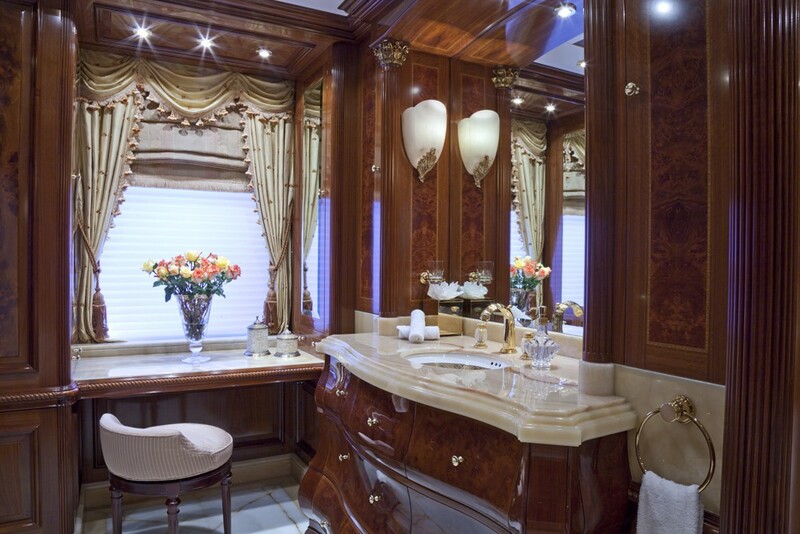 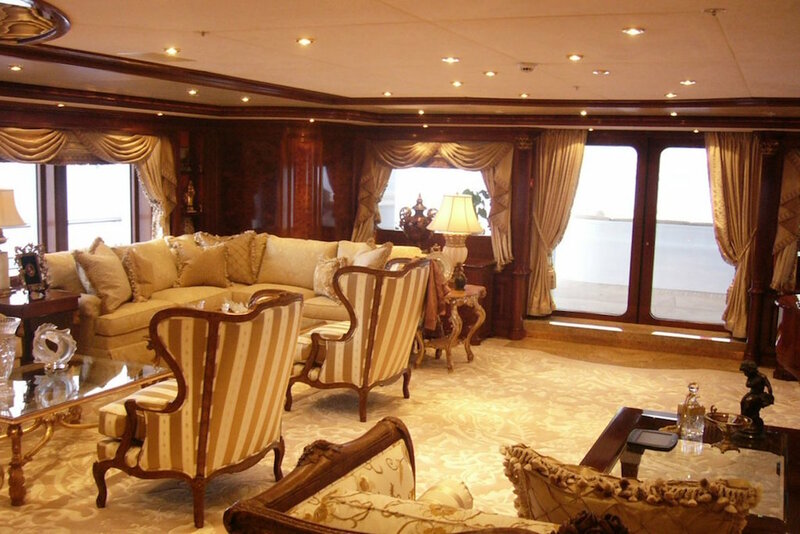 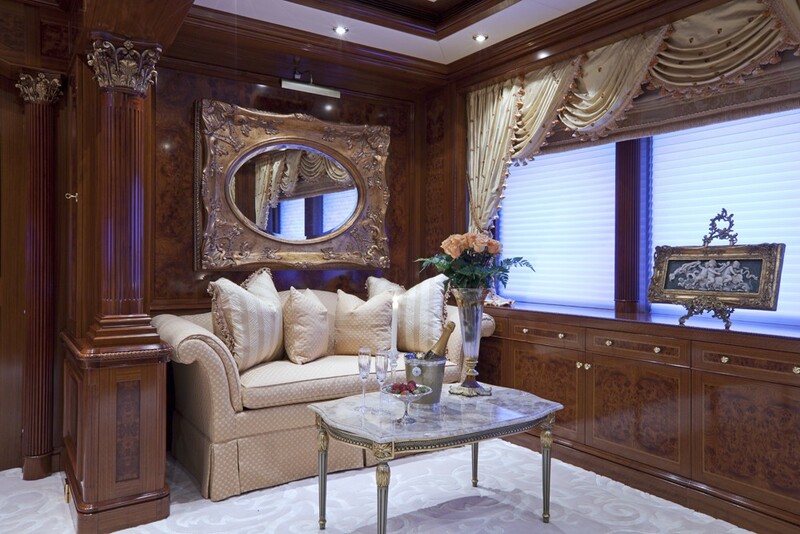 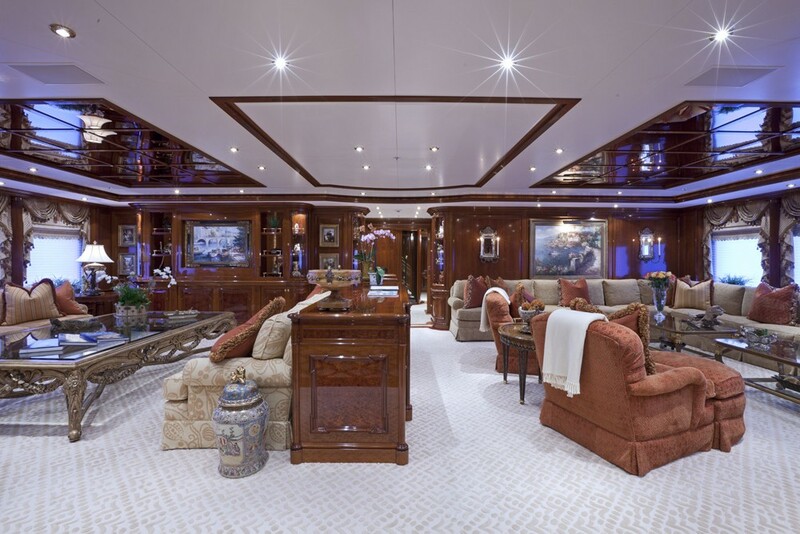 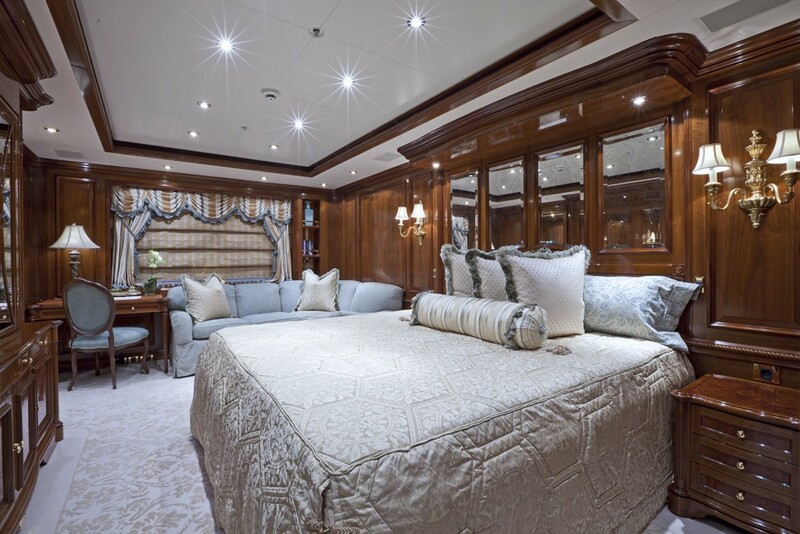 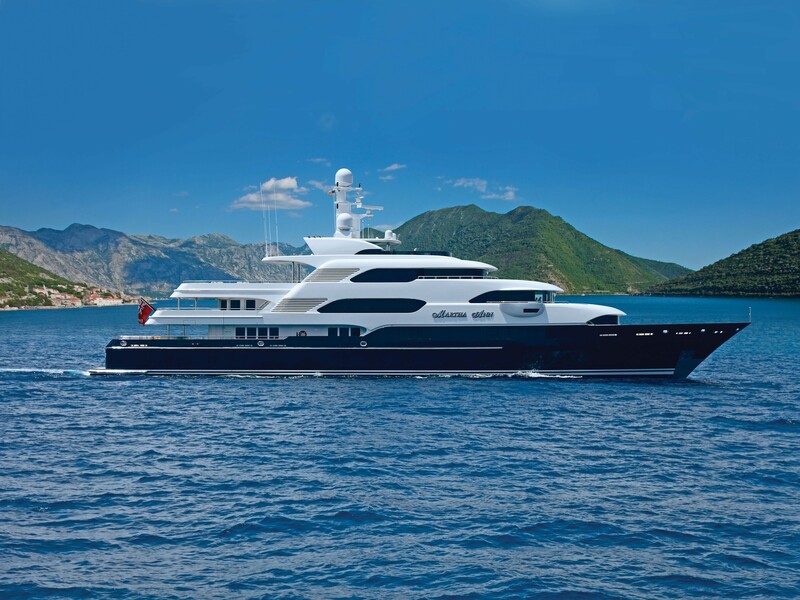 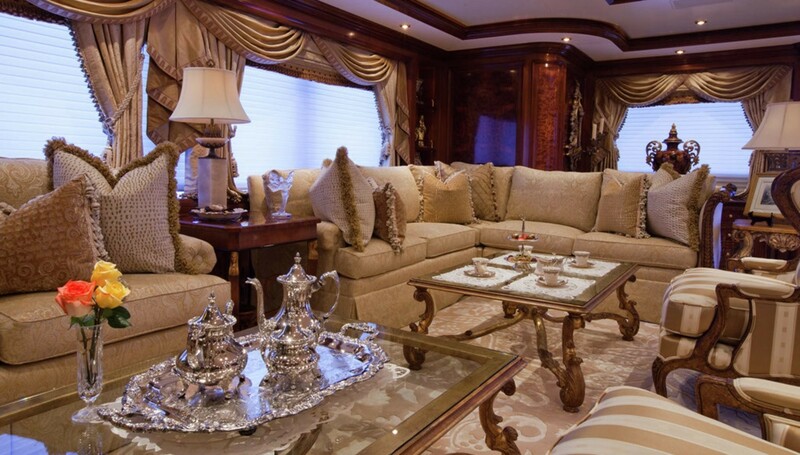 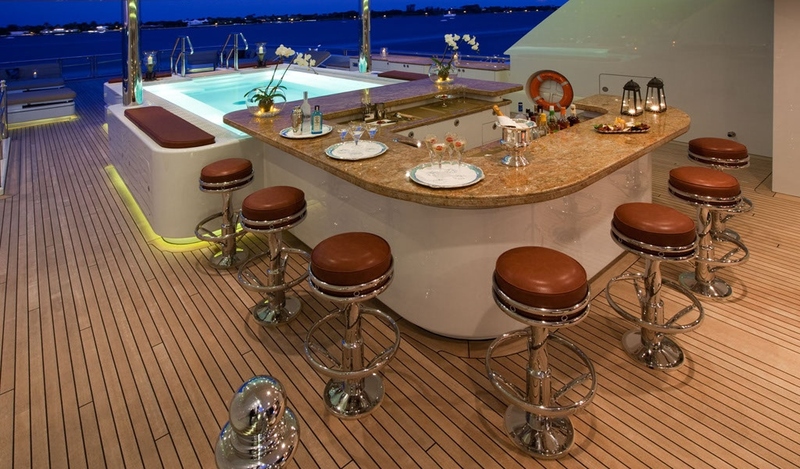 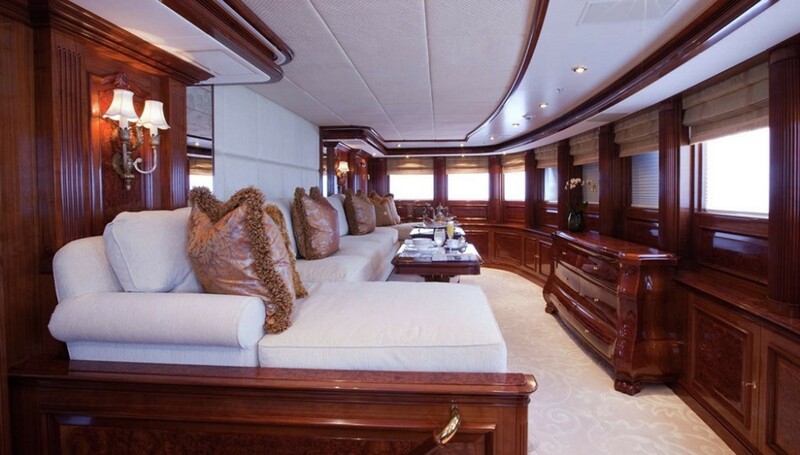 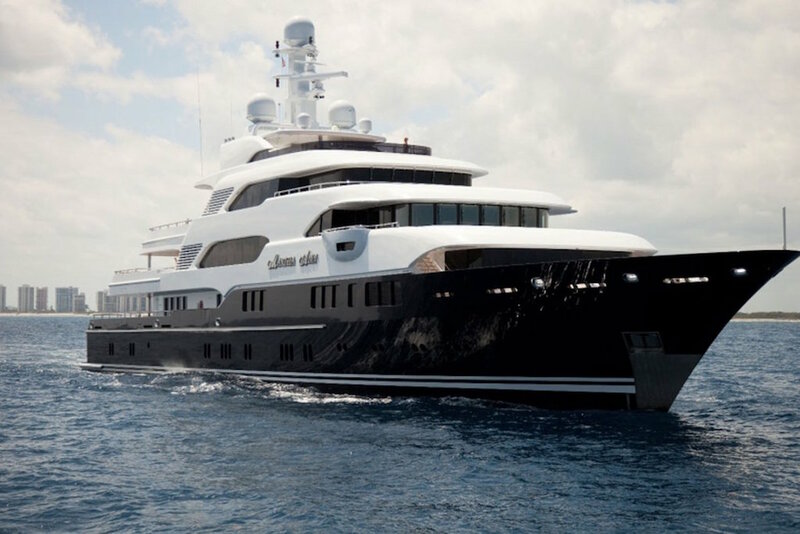 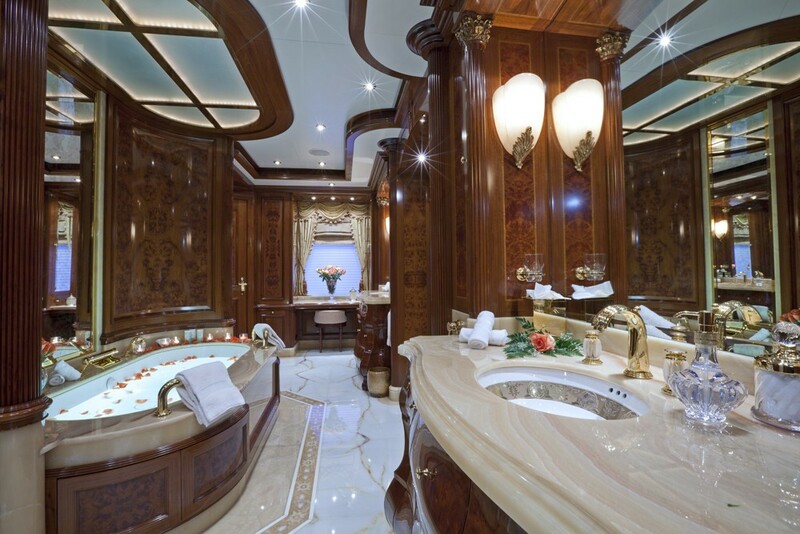 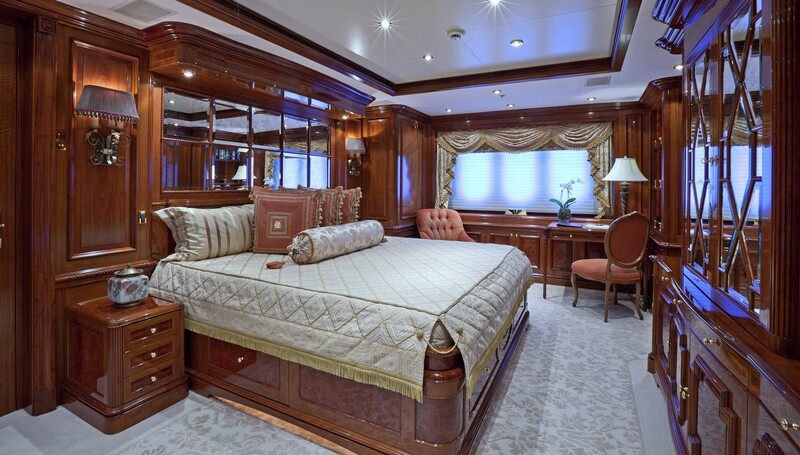 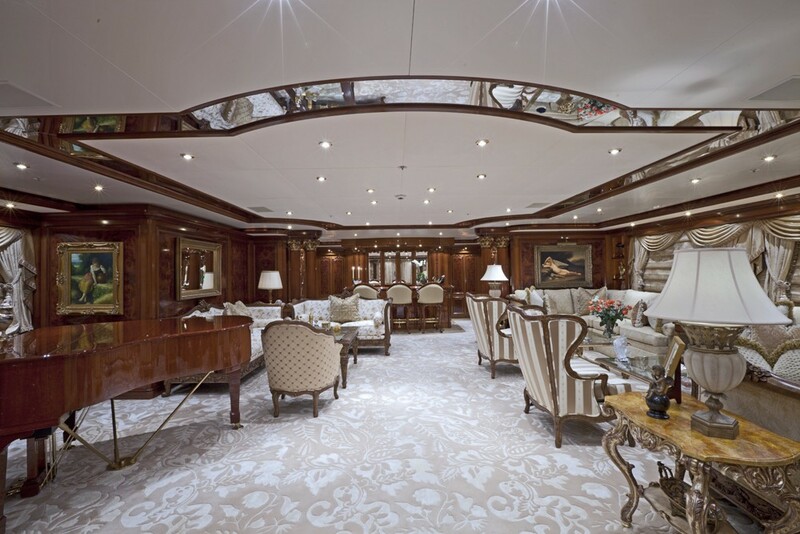 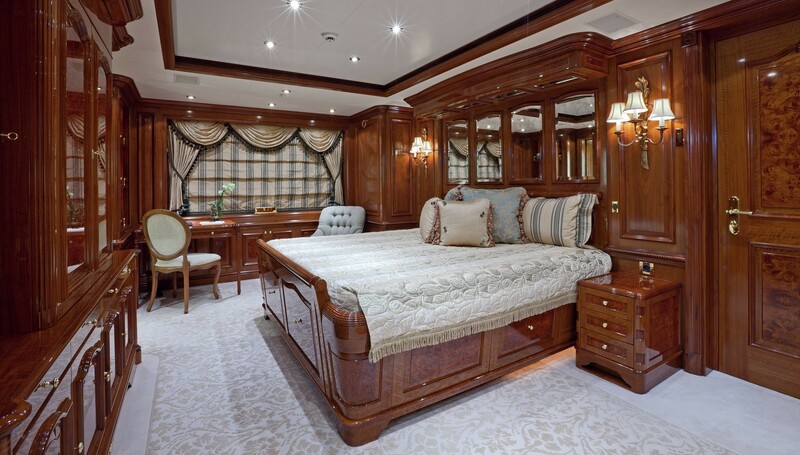 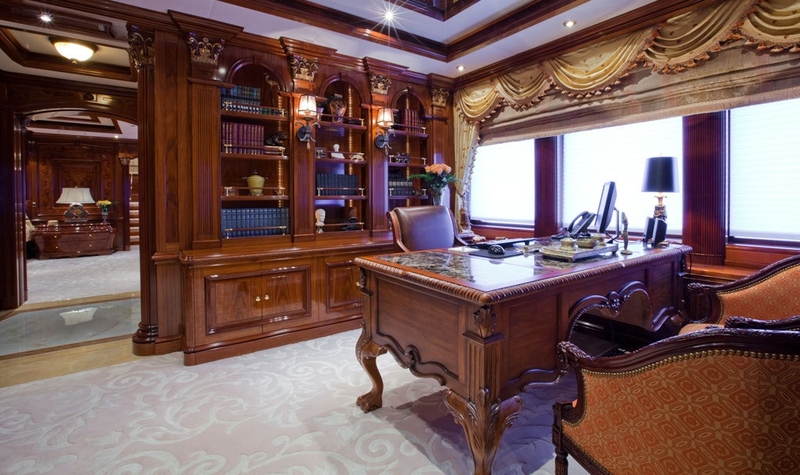 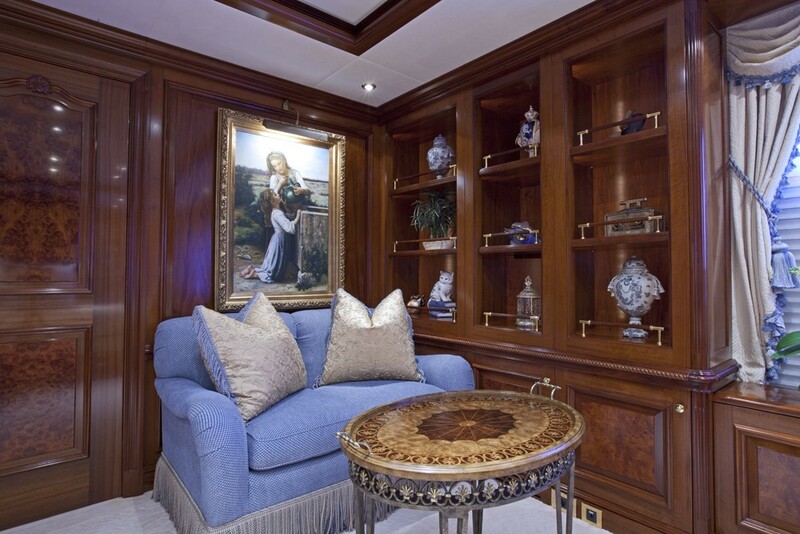 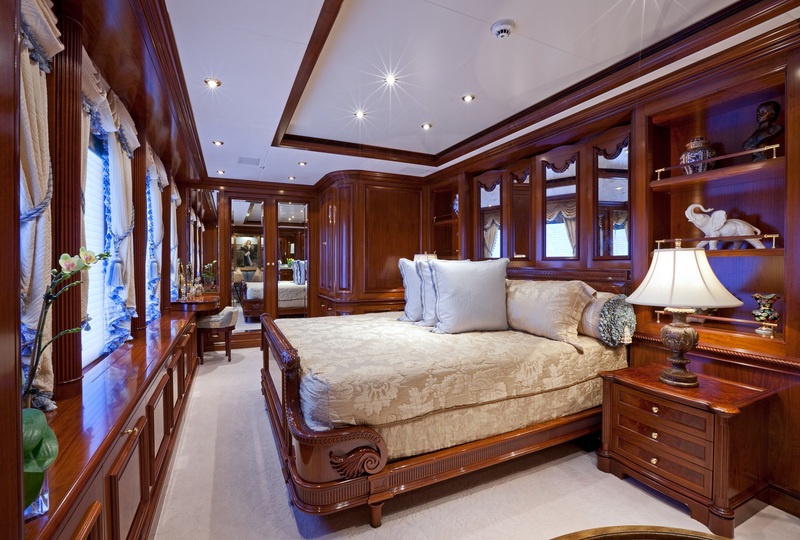 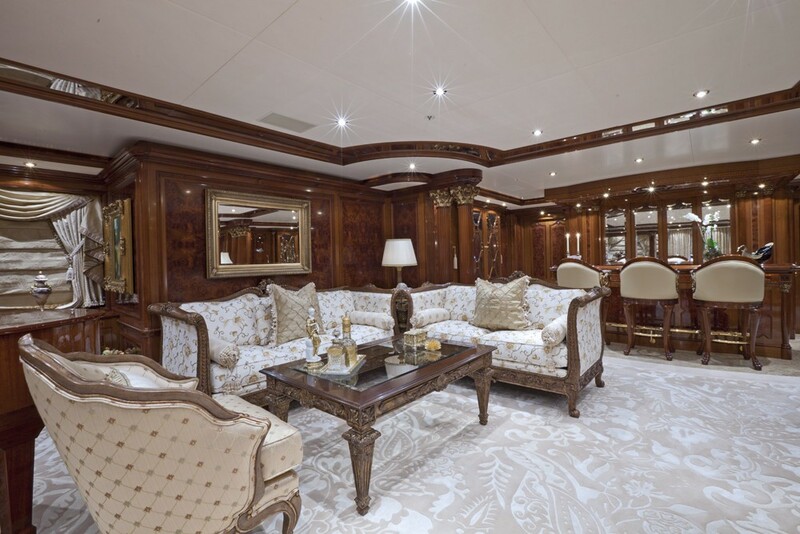 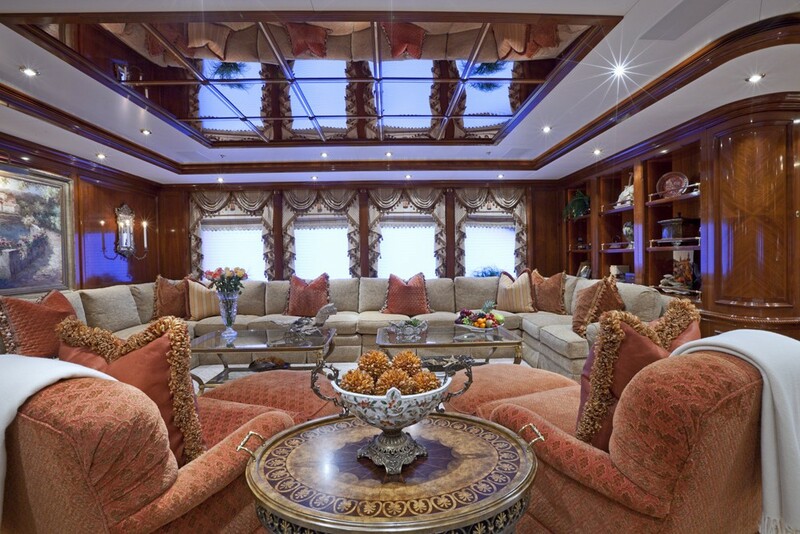 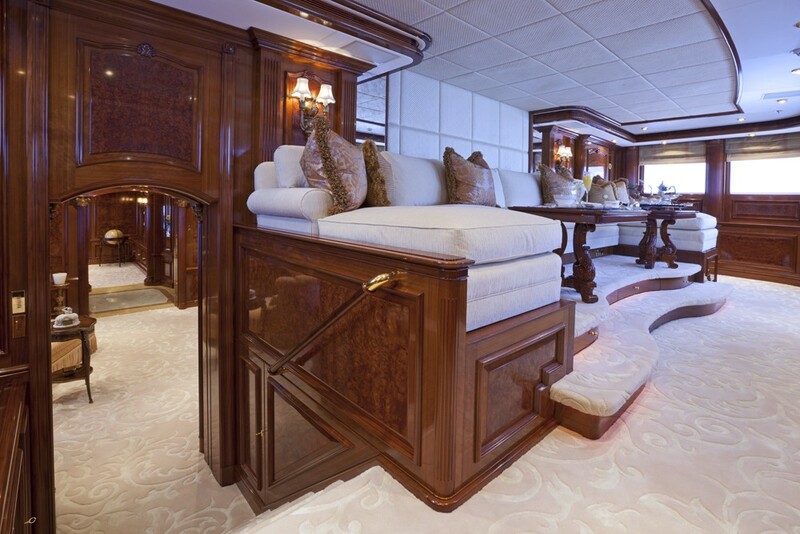 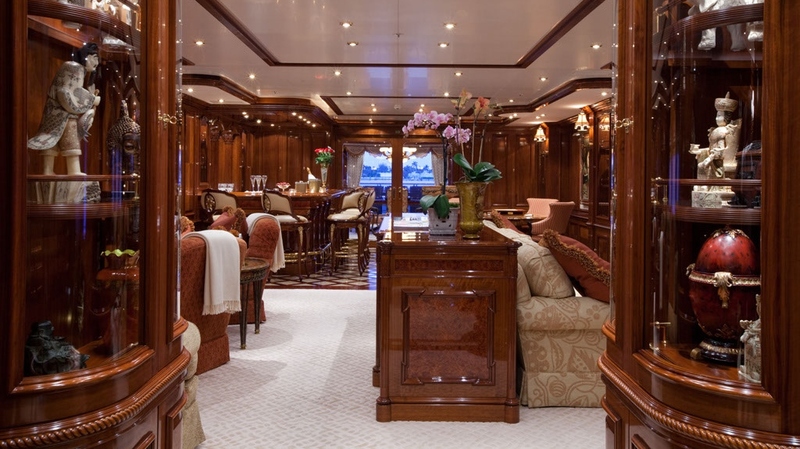 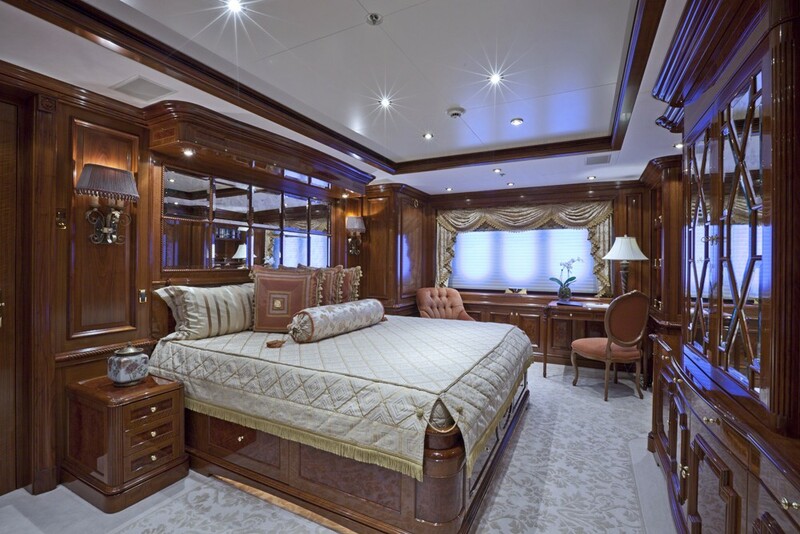 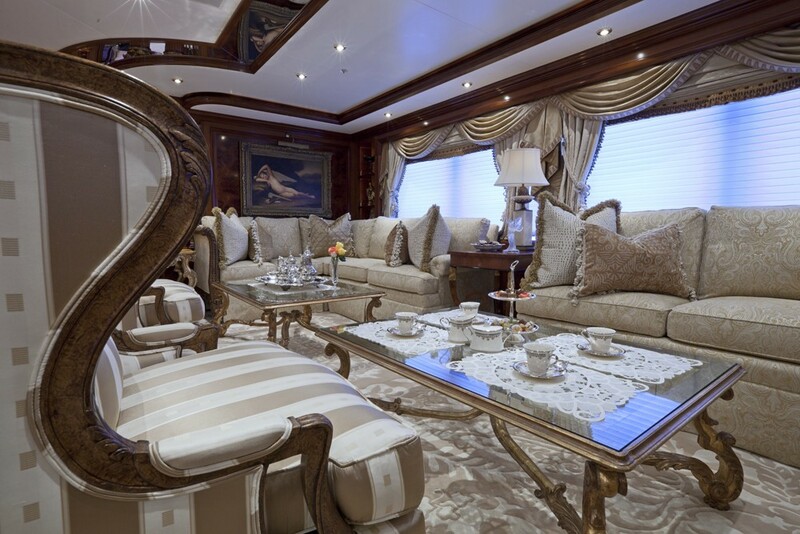 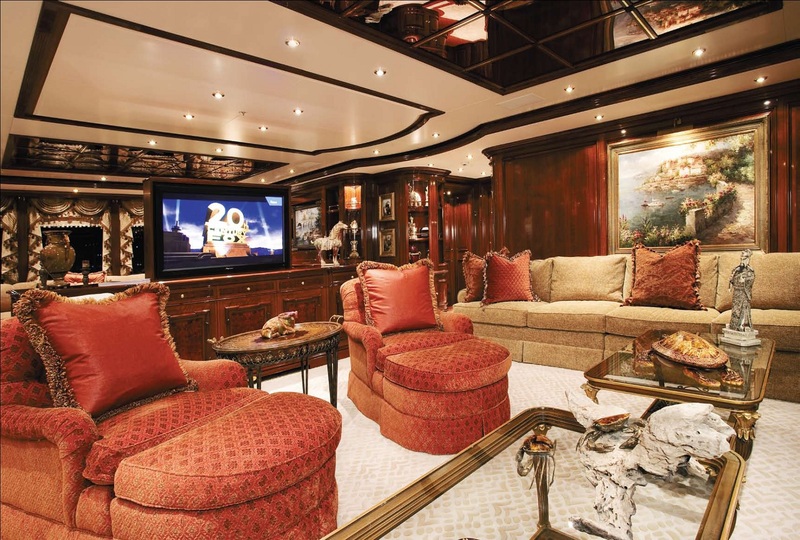 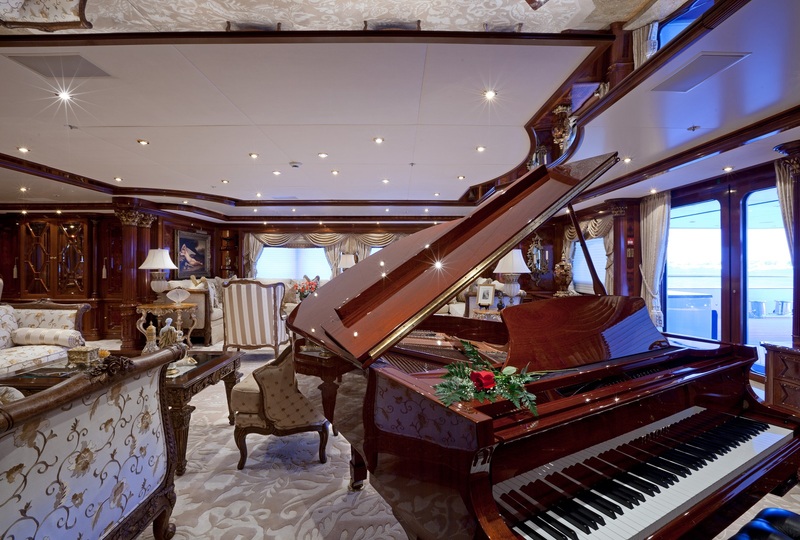 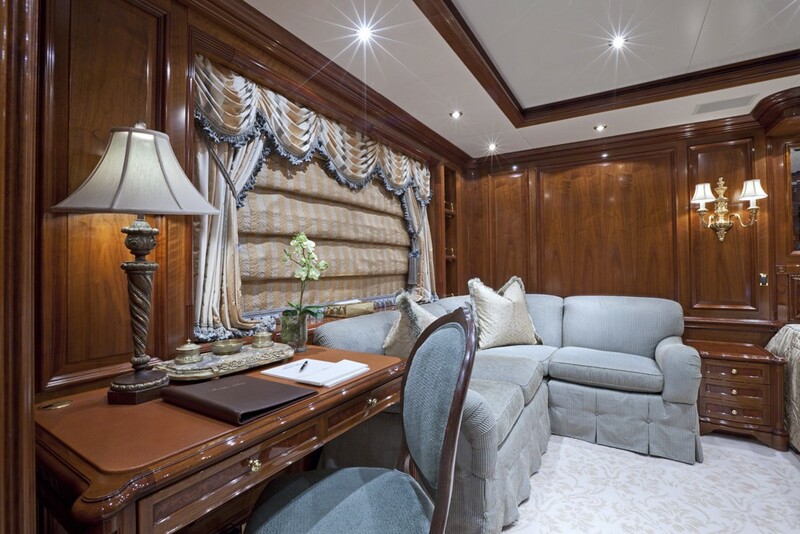 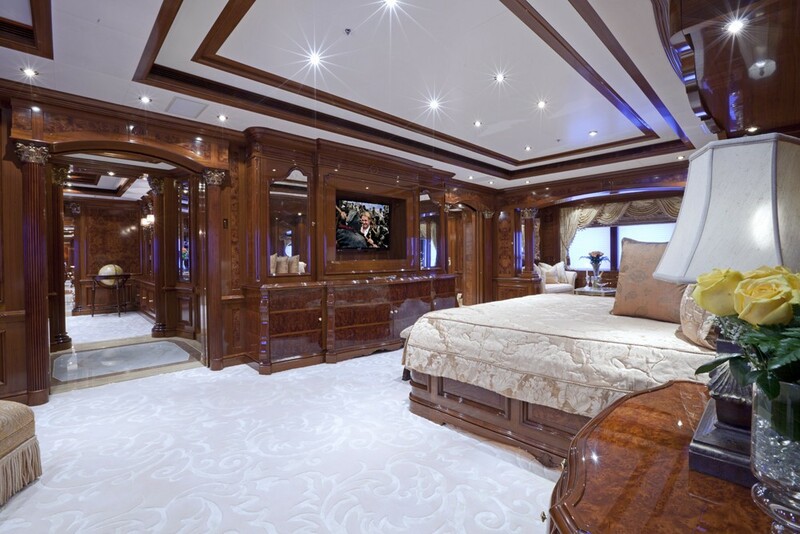 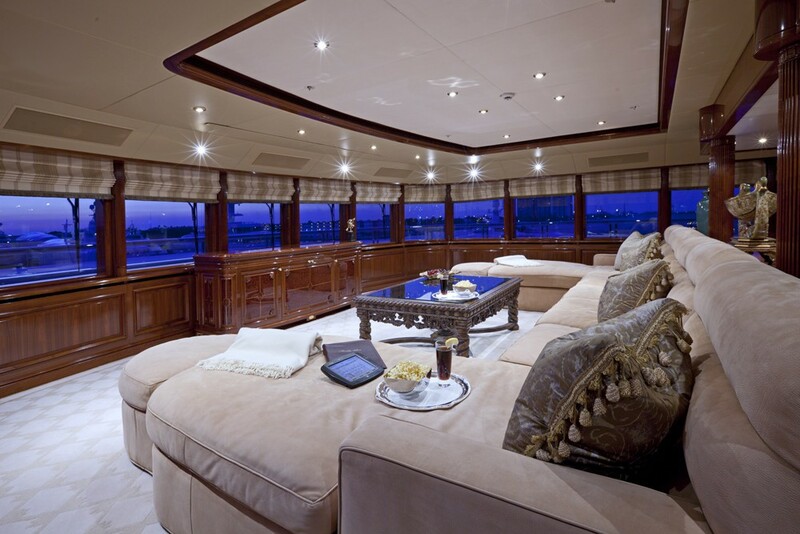 Motor yacht MARTHA ANN’s sumptuous accommodation features a full beam master suite with a private entrance, a study as well as a split-level master suite lounge area with sofa seating, an occasional table, electrical entertainment and access to yacht’s exterior deck. 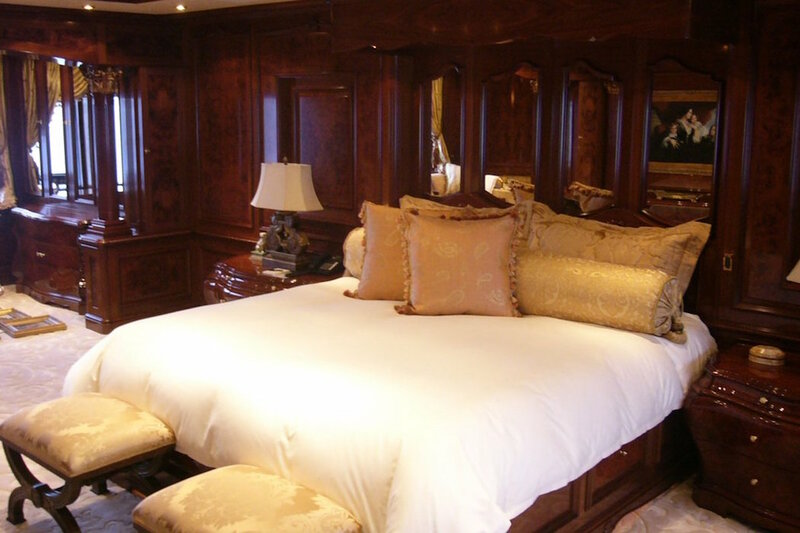 On the lower deck for accommodation guests have four very spacious staterooms all with King sized beds. 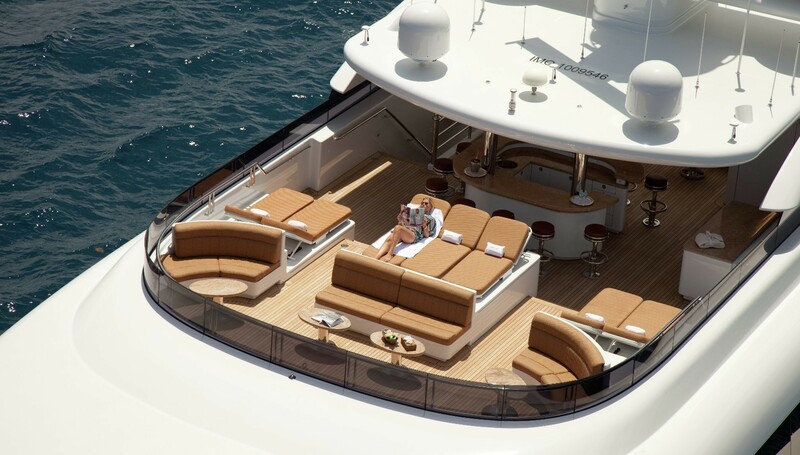 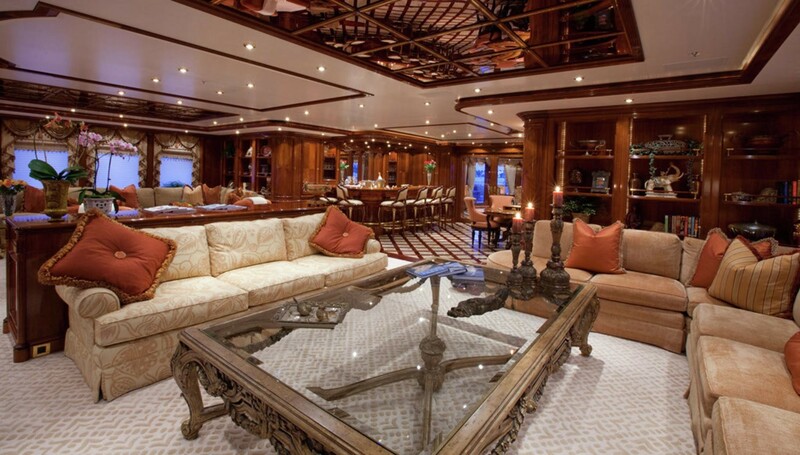 On her main deck in the owner’s enormous suite of around 130m2. 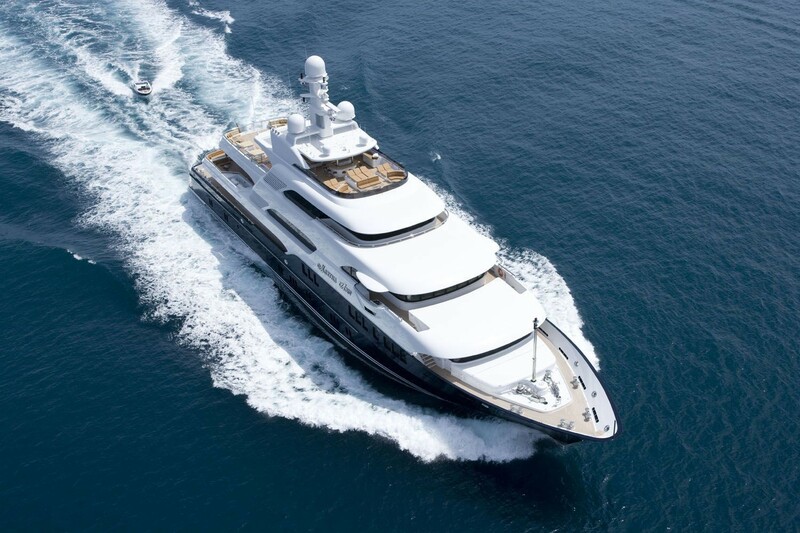 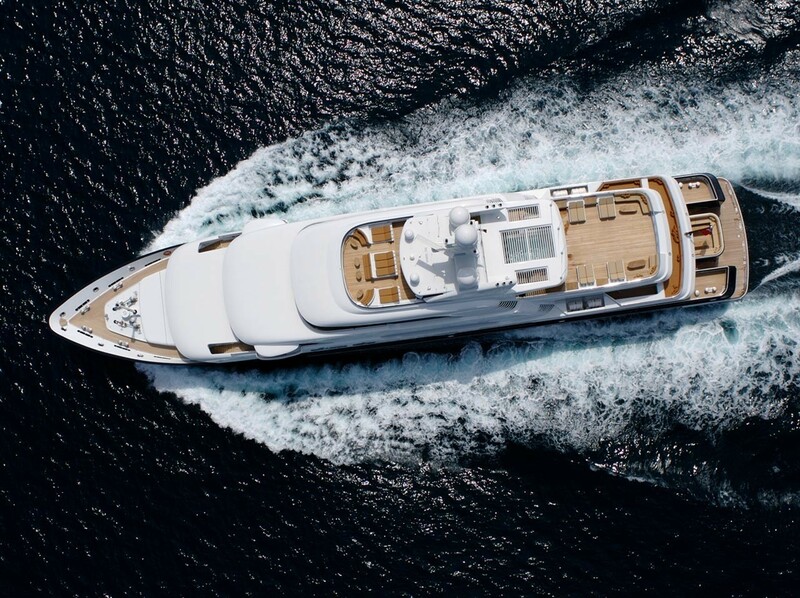 Twin 1,500kW Caterpillar diesel engines produce a speed of 15.5 knots and a range of 4,000 nm Lurssen superyacht a top. 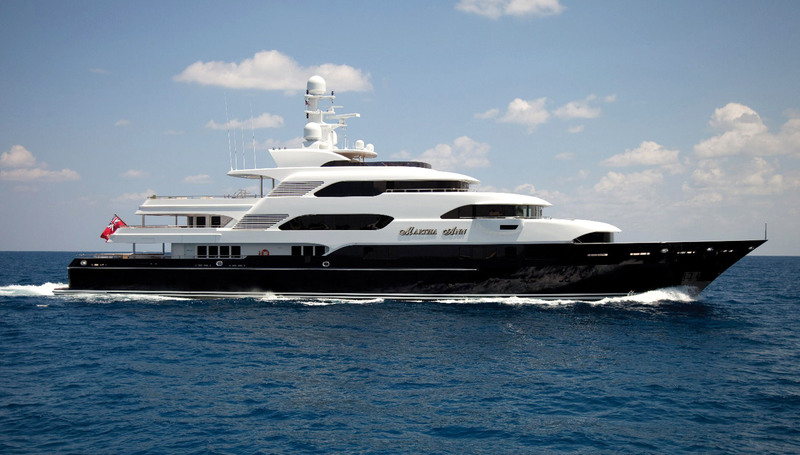 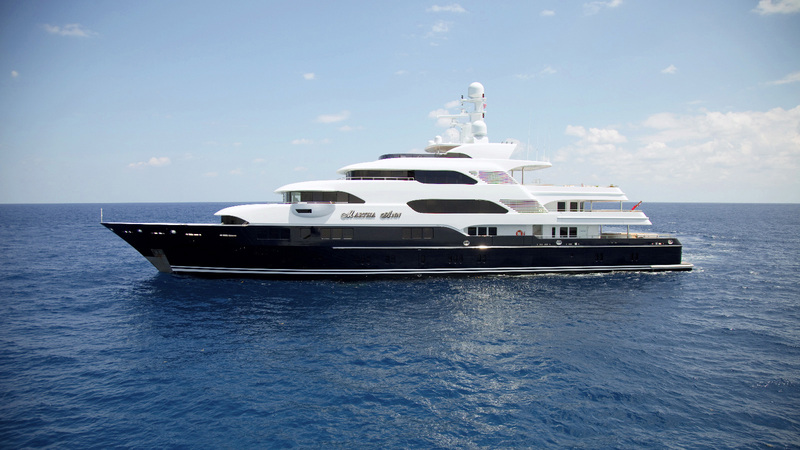 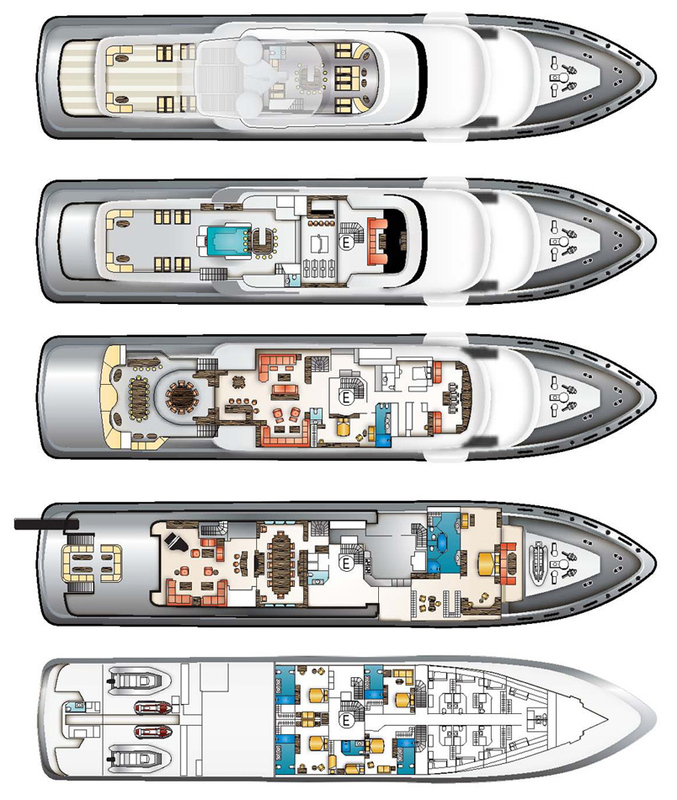 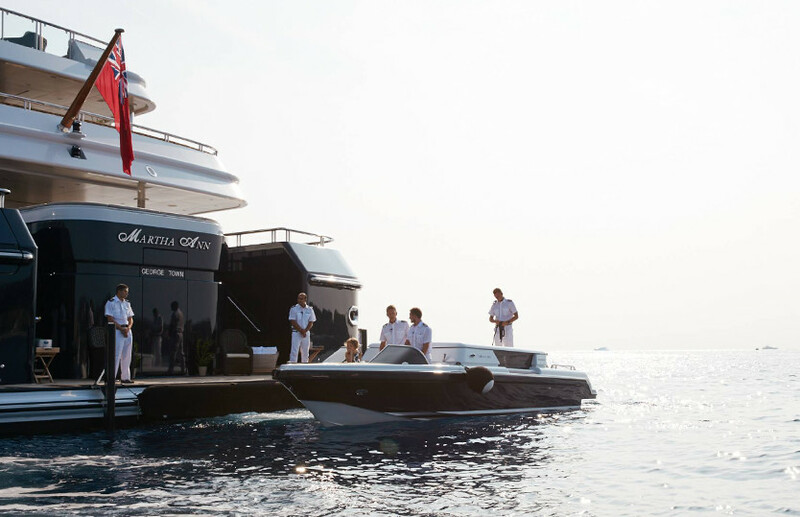 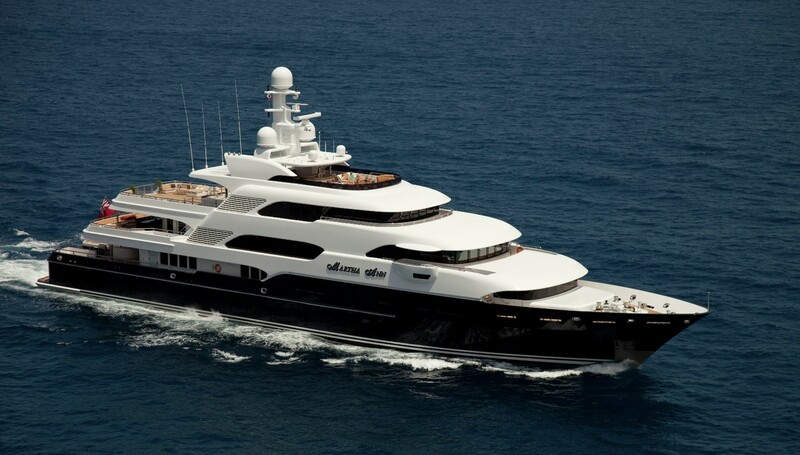 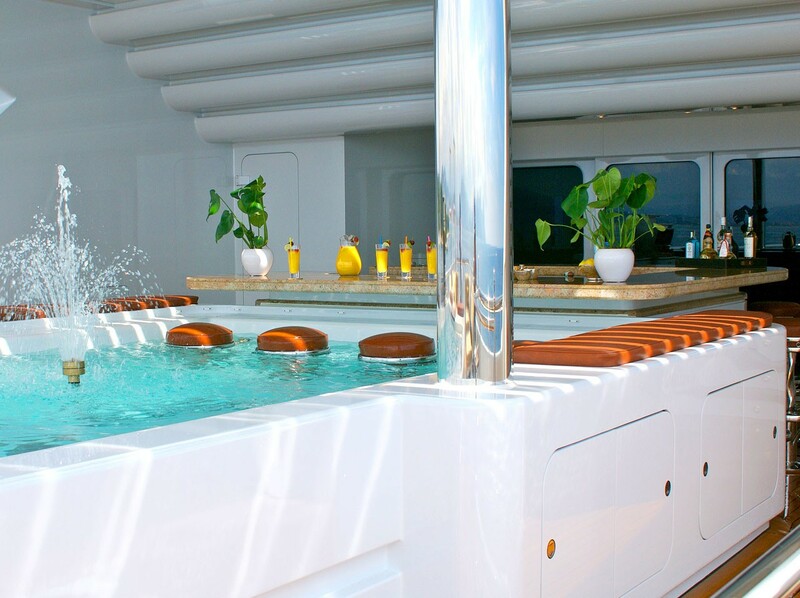 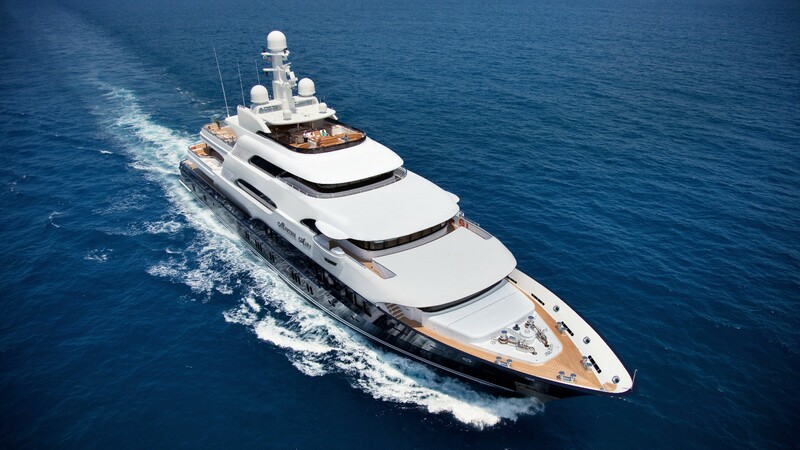 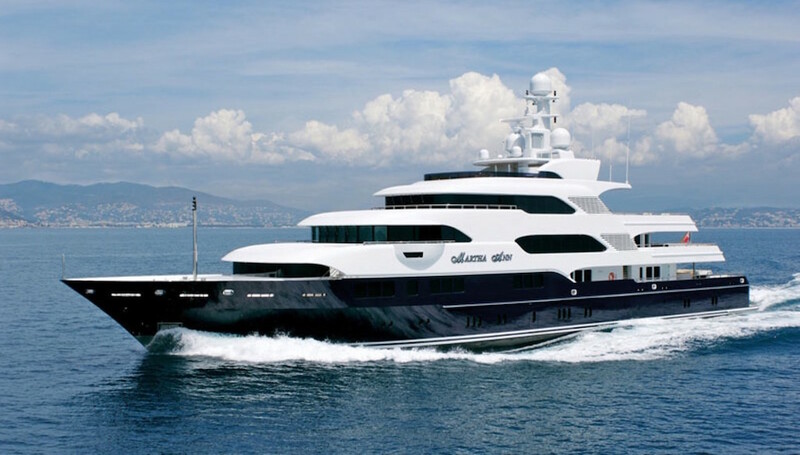 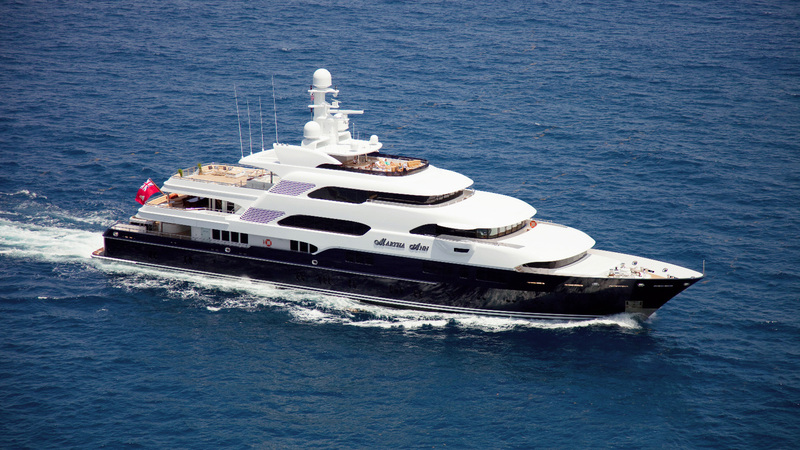 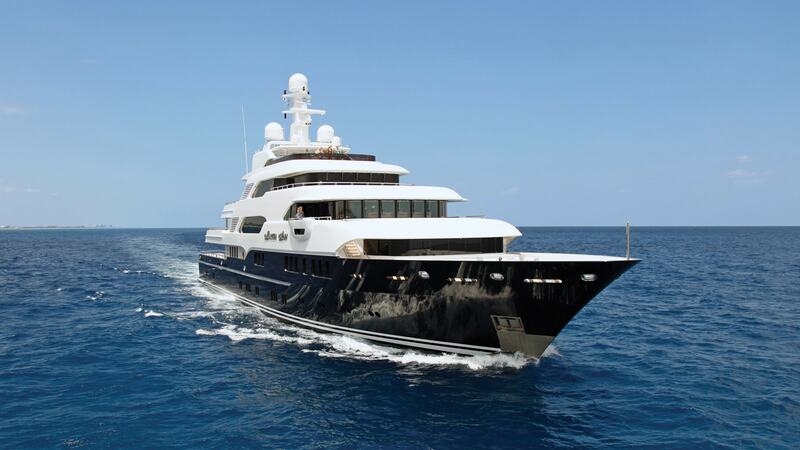 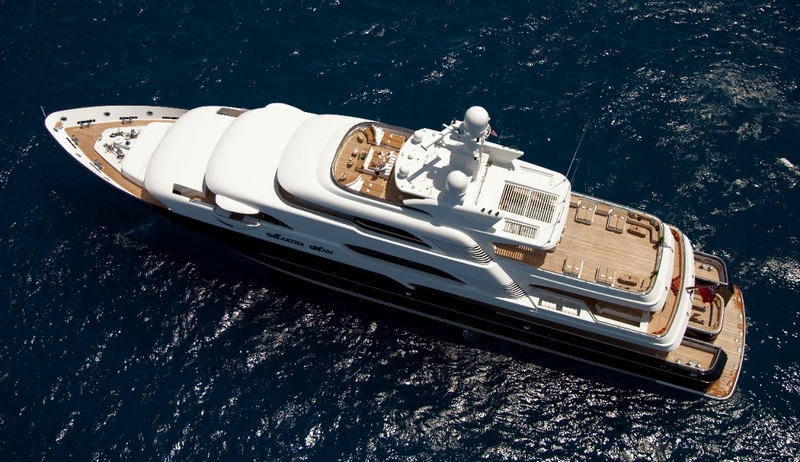 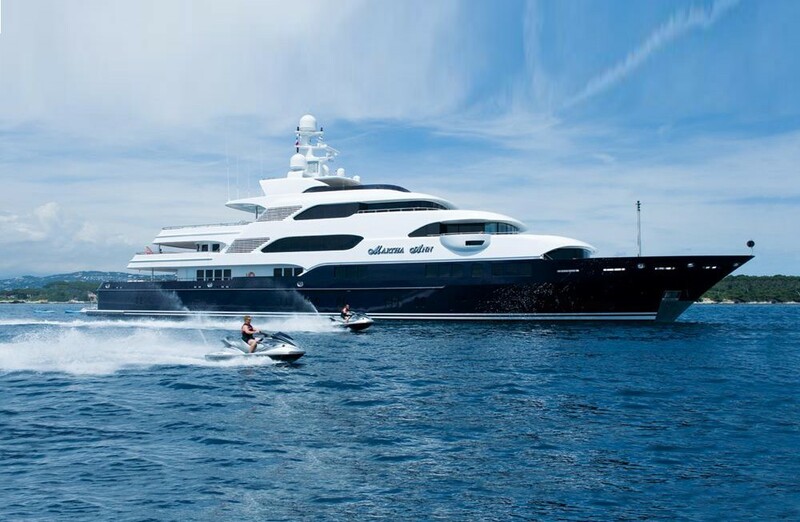 Motor yacht MARTHA ANN provides a full range of water toys and amenities as to be expected of a superyacht this size. 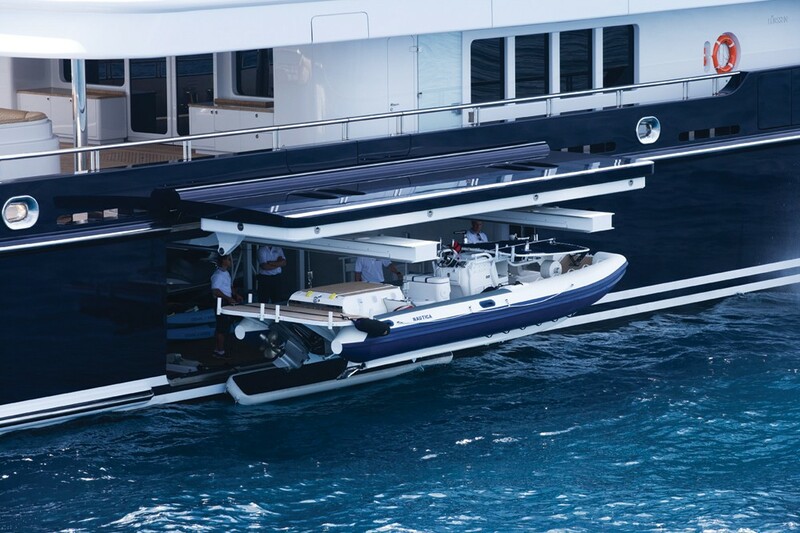 The water toys and tender equipment is tidily stored away in the aft lazarette garage. 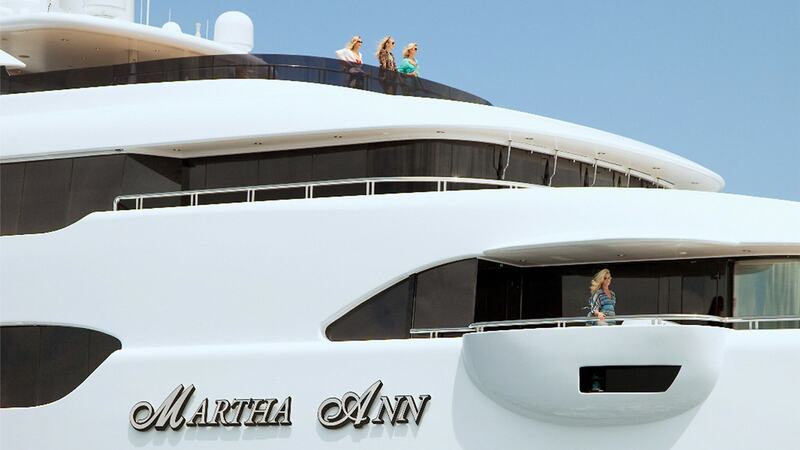 Luxury motor yacht MARTHA ANN accommodates a maximum of 12 charter guests in 7 staterooms in a 6 double room and one twin format.